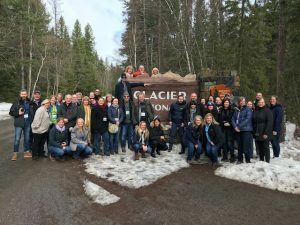 As the Glacier Country tourism sales manager, I travel to trade shows all over the U.S. fielding questions about what to see and do in Western Montana from tour operators. 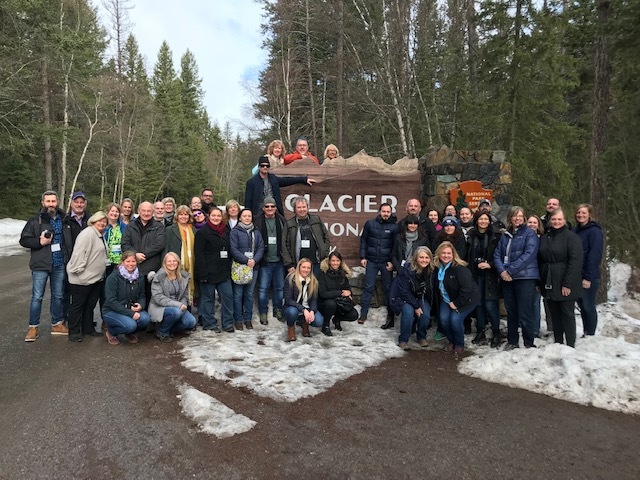 While most product developers have been to Montana to put itineraries together, there are many tour operators who put tours together based on suggested itineraries and the help of the destination experts. 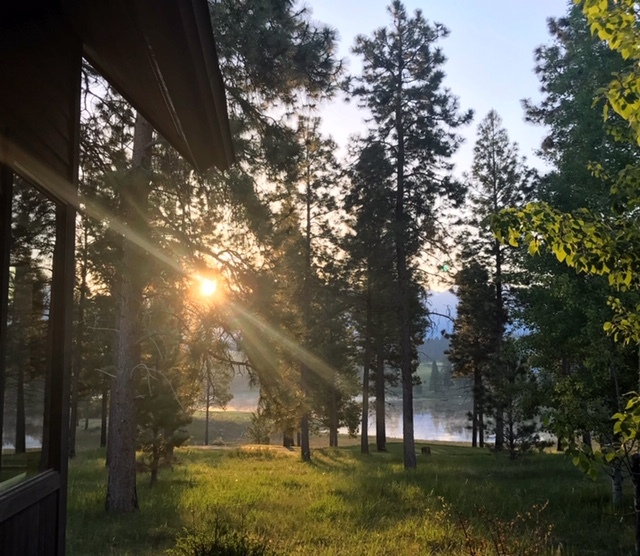 When sitting down for an appointment, one of the first questions I ask is “Have you ever been to Montana?” The answers vary, but the three most common responses are “Yes; It was breathtakingly beautiful; I can’t wait to go back. My clients love it.” Or, “I remember going through Montana as a kid, and I need to go back.” Or “No, but it is on my bucket list to see and I wanted to meet with you because our clients are requesting tours to see the region.” I’ve gathered the top nine most frequently asked questions by tour operators about Glacier National Park and Western Montana as a tour destination. Q: What will there be left to see when the glaciers are gone from Glacier National Park? A: While there are still 25 remaining active glaciers, most are tucked into higher elevations. 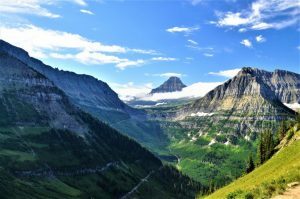 A few are visible from the Going-to-the-Sun Road, and a few others from a short hike off the road. What is really stunning to see is the magnificent terrain that the glaciers have carved out and created over a vast expanse of time. The towering peaks, majestic valleys and sparkling waterfalls aren’t going anywhere. So even after the glaciers are gone, believe me, there will be plenty left to see. The view of Swiftcurrent Lake from Many Glacier Hotel. Spring day in Glacier National Park. Q: What are the dates that the Going-to-the-Sun Road through Glacier National Park will be open to motor vehicles? 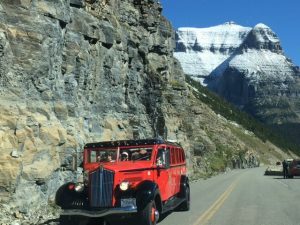 A Sun Tour cruises along the Going-to-the-Sun Road. The Going-to-the-Sun Road takes you past beautiful waterfalls. Q: If we can’t take the motorcoach on the Going-to-the-Sun Road, how do we see Glacier National Park? 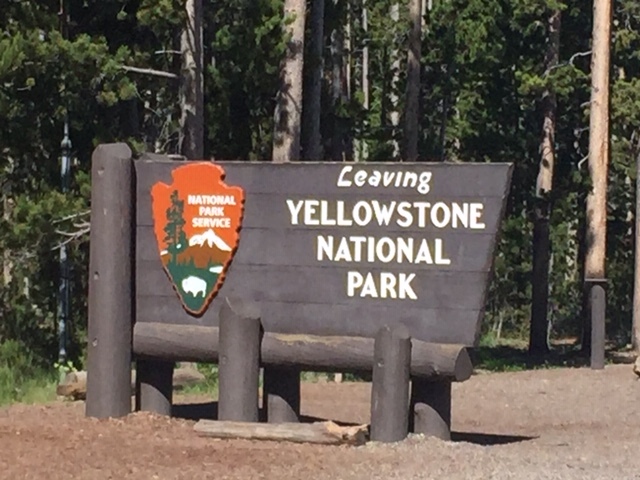 A: It is true, vehicles and vehicle combinations longer than 21 feet or wider than 8 feet are prohibited between Avalanche Campground on the west side of the park and the Rising Sun picnic area on the east side due to rock overhangs and roadway twists and turns. 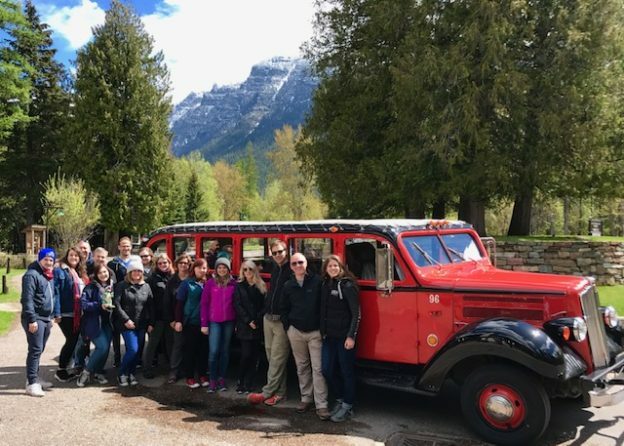 It’s best to park the motorcoach and have everyone climb aboard a tour provided by a Glacier National Park concessionaire—either a red bus tour or Sun Tour. On the red bus tour your group will travel in a vintage 1930s restored bus. The buses seat 17 people and have canvas roll-top roofs. The drivers are called a jammers, because, back in the day, they had to jam the gears to get the buses to climb the steep hill grade. 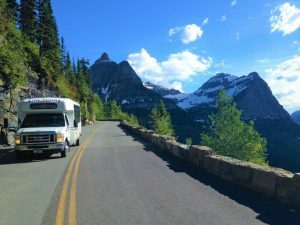 You have the choice for your tour to go out and back, or you could deadhead the motorcoach on the other side of the Going-to-the-Sun Road and pick up your clients and continue on your way. The Sun Tour buses travel the same roads but tell the story from the Blackfeet perspective. Many of the peaks, valleys and waterfalls are named after Blackfeet tribal members, and the start of the tour is blessed by burning sweet-grass. 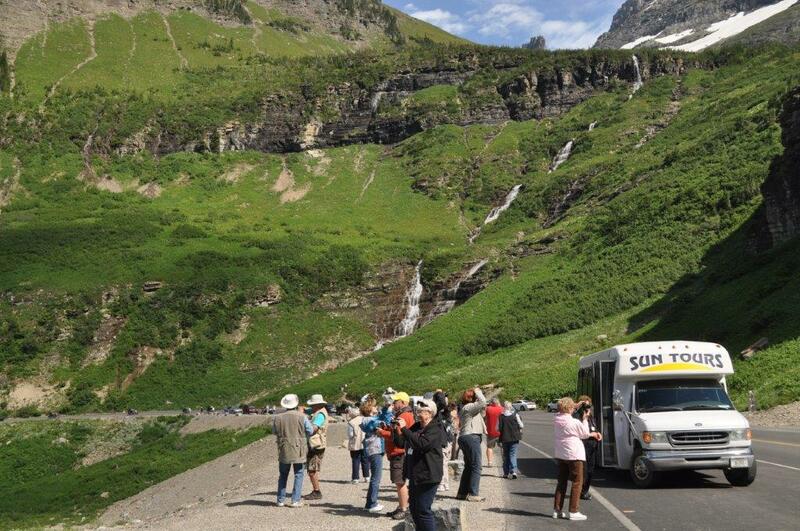 Tour guests take in the views along the Going-to-the-Sun Road with Sun Tours. Groups enjoy red bus tours in Glacier National Park. 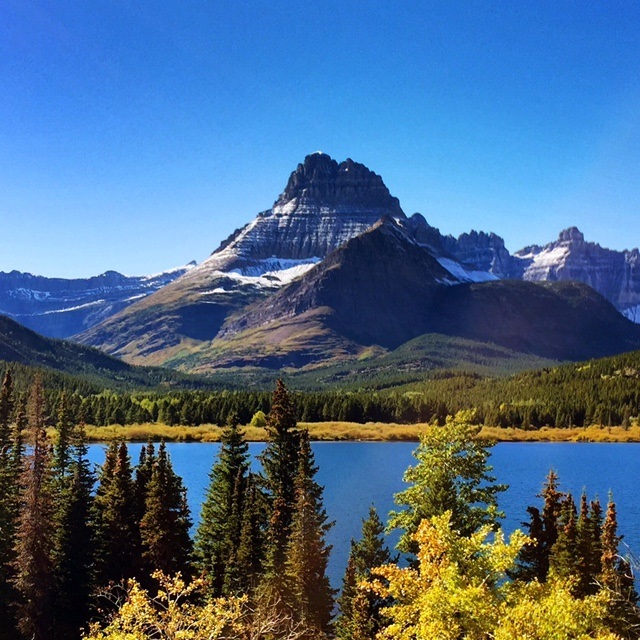 Q: How long should I plan on spending in Glacier National Park, and what is there to do? A: Most itineraries include driving the main roads, so people only see a very small percentage of the park. However, I understand itineraries are tight, so if you only have one day to spend in Glacier National Park, this blog post addresses it. I recommend two days at a minimum. One day to tour by road and by boat and learn about all there is to see and do. The next day, plan to get off the beaten path and explore trails, waterfalls, wildlife viewing and flora. 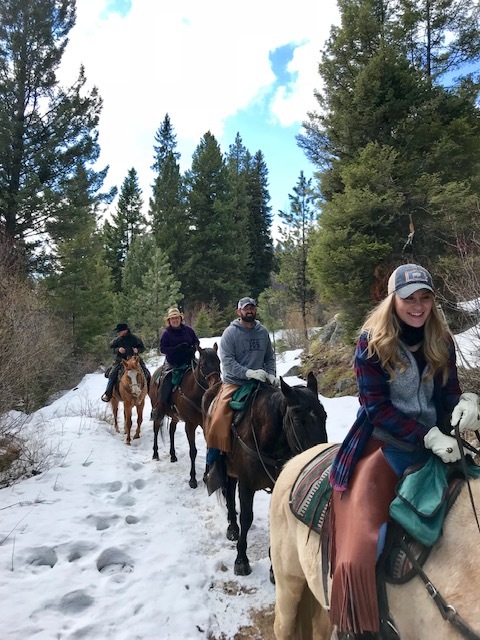 For the more adventurous, there are professional guides and outfitters for horseback riding, hiking to alpine lakes and whitewater rafting down crystal clear rivers. One of my favorite places is Running Eagle Falls in the Two Medicine Valley. The trail is handicapped-accessible and a good short path for everyone. The spectacular falls are where two separate waterfalls come together in the same location. 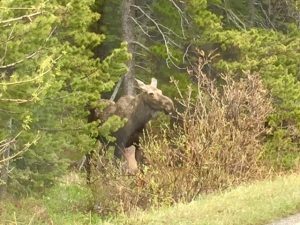 Moose sightings in the spring. 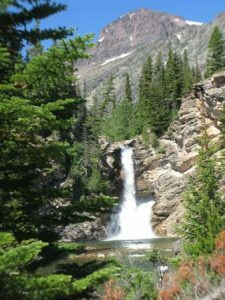 Running Eagle Falls, also known as Trick Falls is easy to get to in the Two Medicine Valley. Q: We know we want to see Glacier National Park, but what other “must-sees and dos” are in Western Montana? A: The list is long, but here are a few highlights. Explore the Blackfeet and Flathead Indian reservations to learn about American Indian traditions. The Flathead Valley towns of Whitefish and Kalispell are full of shopping, galleries and historical sites. 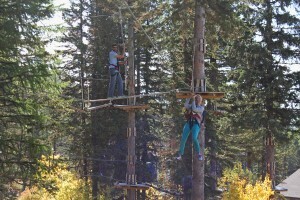 Whitefish Mountain Resort has an abundance of group activities all summer long. 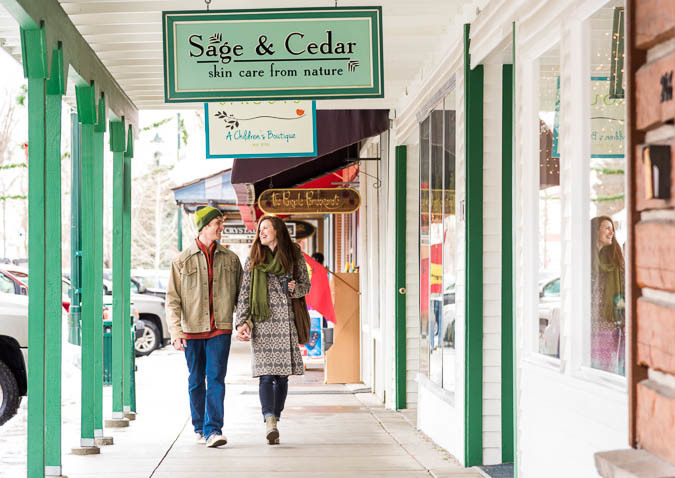 Bigfork is a charming village with shops, eateries and live theater. 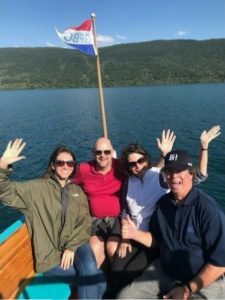 Flathead Lake—the largest freshwater lake in the West—has boat cruises and other adventures like Wildhorse Island, a day-use state park with, yes, wild horses on it. The National Bison Range is an 18,000-acre preserve for driving tours with around 350 bison, plus elk, deer, pronghorn and bears. 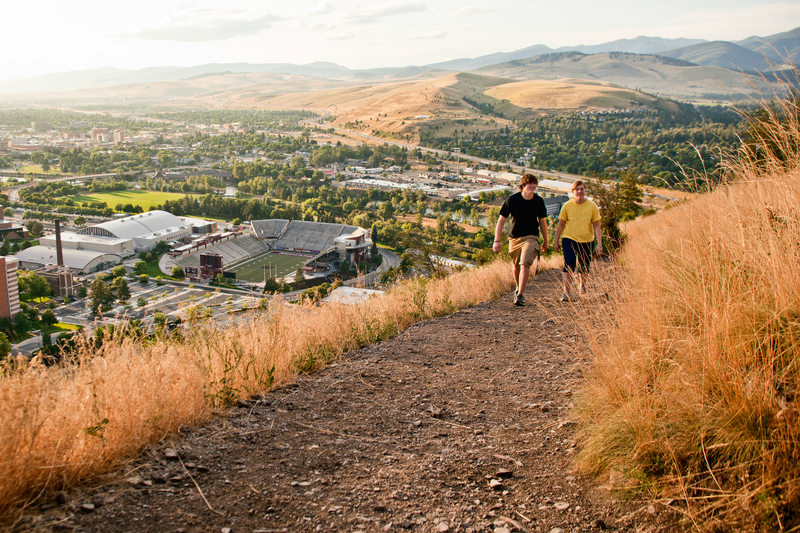 Missoula—the second largest city in Montana—is a cultural hub with fantastic music, brewery and restaurant scenes. Both the Seeley Swan and Bitterroot valleys draw outdoor enthusiasts and history buffs alike. 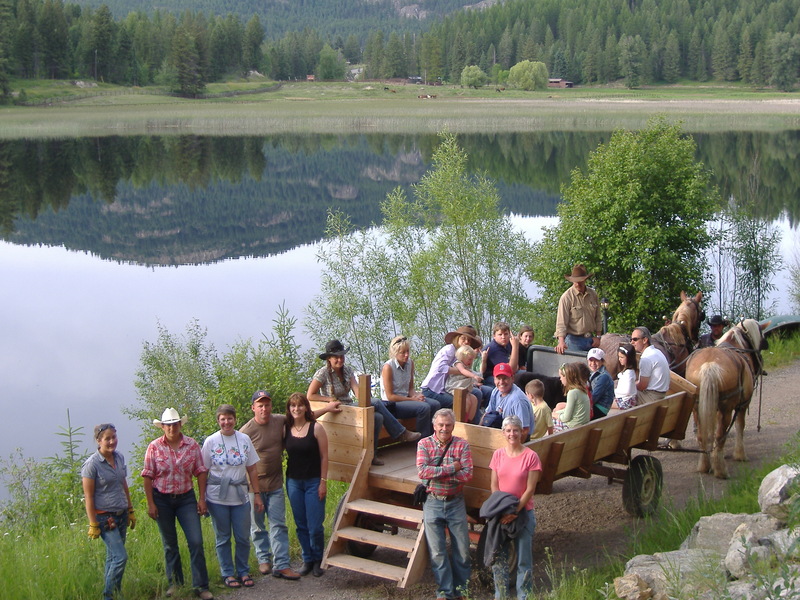 A horse-drawn wagon ride with Bar W in Whitefish is a fun activity. 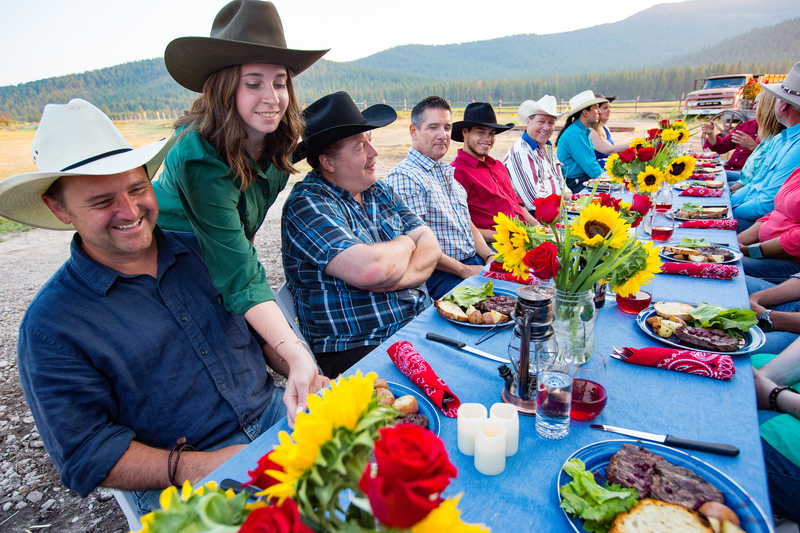 All smiles at a chuckwagon dinner. Q: How can we incorporate an American Indian experience into our tour? 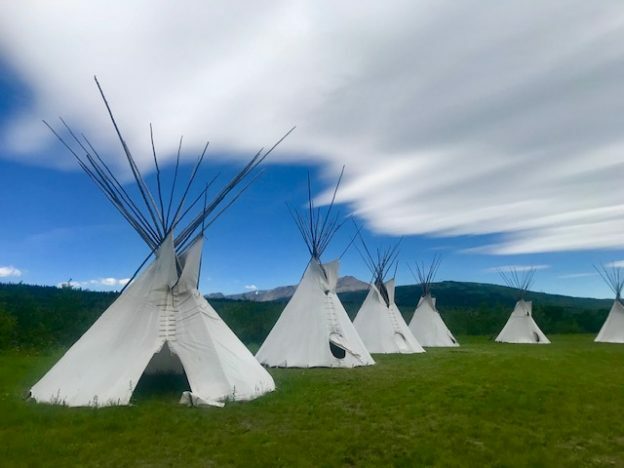 A: There are several American Indian pow wows that take place during the summer months on the Blackfeet and Flathead reservations along with heritage sites. In Browning, visit the Museum of the Plains Indian and the Blackfeet Heritage Center and Art Gallery. Stop in at the Lodgepole Gallery and Tipi Village to see Blackfeet Indian art, or choose to stay and experience American Indian culture by camping in a teepee and eating a traditional bison dinner. Request a step-on-guide to showcase the Blackfeet reservation including buffalo jumps, teepee rings and medicine lodges. On the Flathead Indian Reservation experience the culture and heritage of the Confederated Salish & Kootenai Tribes at The People’s Center in Pablo. TeePee stays along Lower St. Mary Lake with stunning views of Glacier National Park. 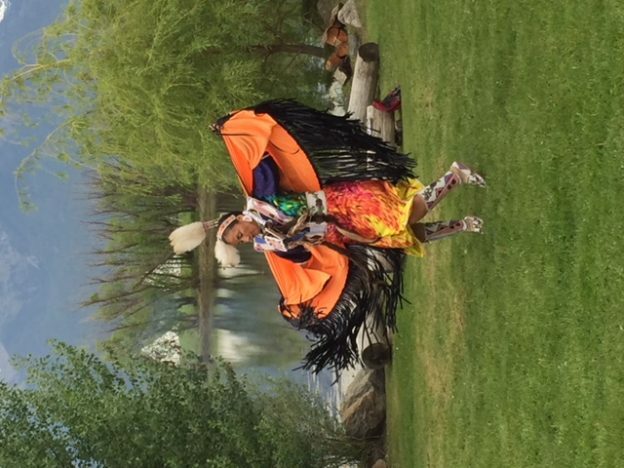 Cultural dancing on the Flathead Indian Reservation. 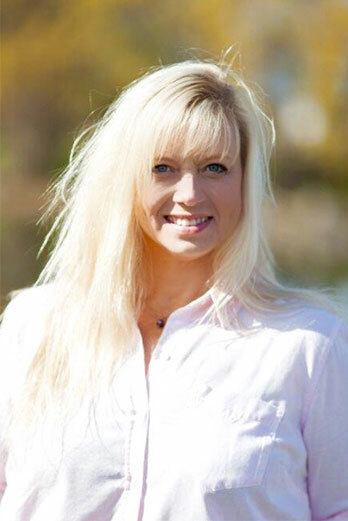 Q: What kind of hands-on, experiential things can our clients enjoy? A: Here is a partial list; you choose the fun. Pick sweet Flathead cherries from an orchard. Ride the alpine slide or take a gondola ride for spectacular views at Whitefish Mountain Resort. Cast a line into a blue-ribbon trout stream. Soak in a hot spring. Stand-up paddleboard or kayak on the largest freshwater lake in the West—Flathead Lake. 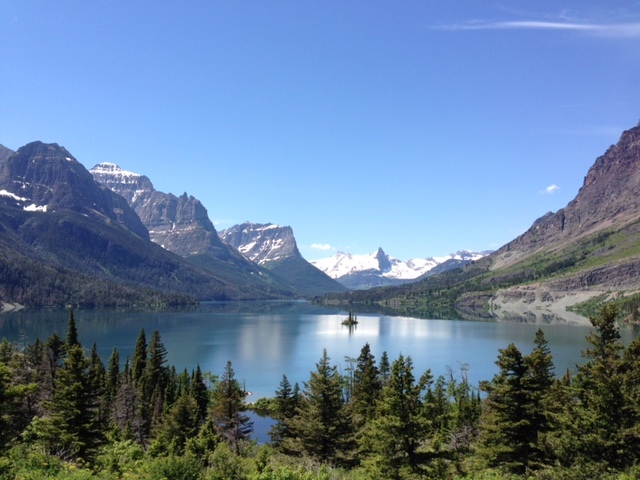 Personalize a Glacier National Park trip with The Glacier Institute. Meet a smokejumper and see what he/she wears when parachuting in to fight a wildfire. Enjoy a historical walking/architecture tour. Take in a small-town rodeo. Mine for sapphires. Go with a guide (llama trekking, whitewater or scenic rafting, fishing, horseback riding). Experience a Broadway-caliber theater performance. Visit a local lavender farm and make sachets or lavender lemonade. Meet and listen to a cowboy poet. Learn to line dance. Talk with a wrangler at a chuckwagon dinner. The list goes on. In fact, here are 102 things to do. 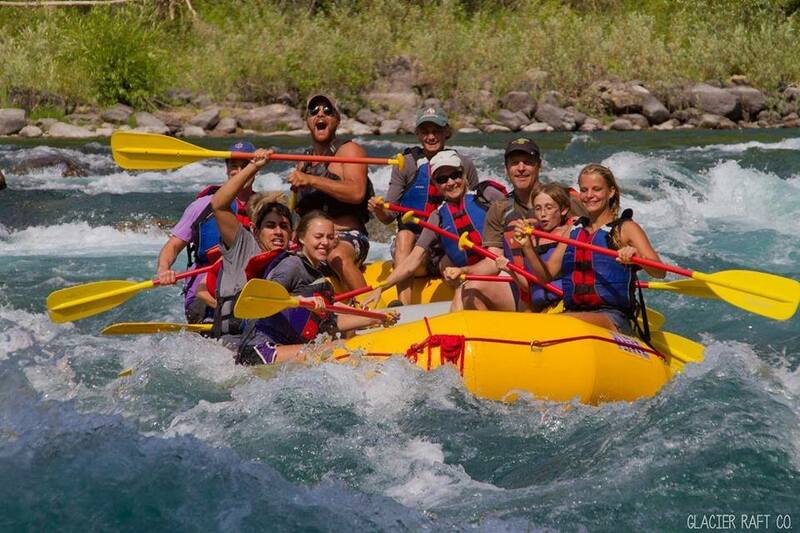 A group rafts the Middle Fork of the Flathead River. Touring the Smokejumpers Visitor Center in Missoula. 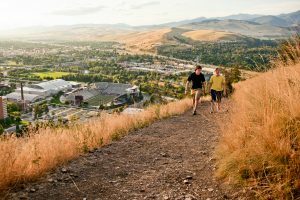 Q: I keep seeing Missoula highlighted in magazines on all the “best of” lists. Tell me more about Missoula? 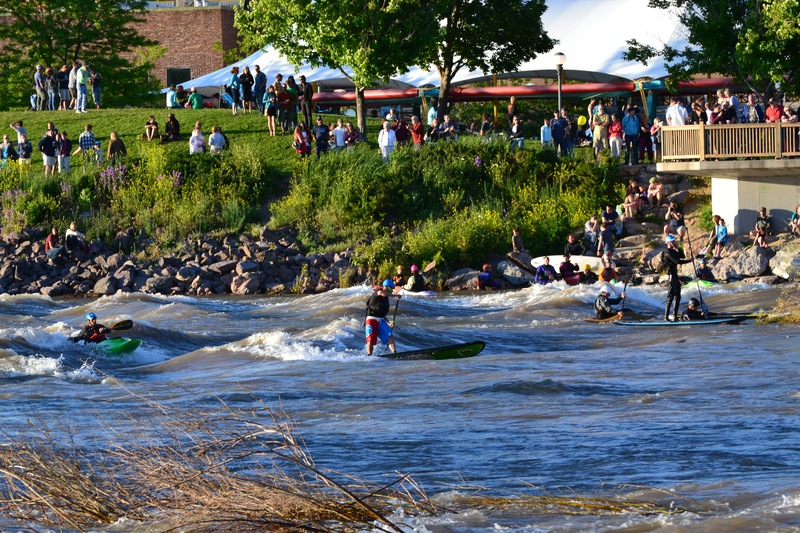 A: Missoula is an outdoor enthusiast’s dream surrounded by seven wilderness areas and at the confluence of three rivers. 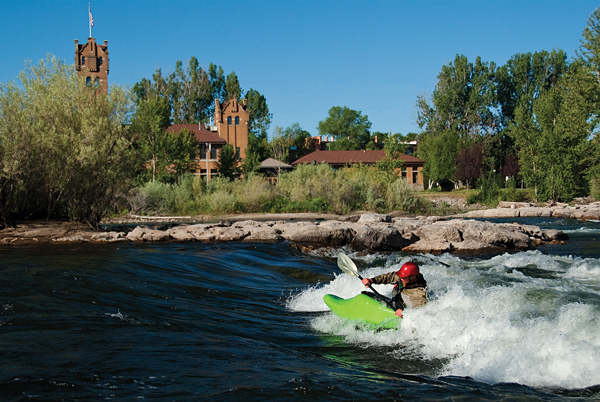 You can kayak, raft or tube through downtown or take a relaxing hike just minutes from your hotel. 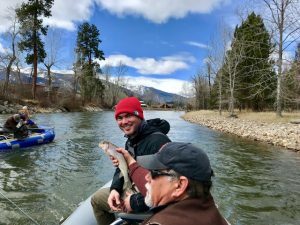 Missoula is known for its spectacular natural beauty and nearby blue-ribbon trout fishing. Downtown boasts shopping and dining, with an abundance of restaurants, cafés, breweries and distilleries offering something for everyone. Known for its eclectic culture, visitors will find this arts and culture hub filled with nightlife, symphony, theater, film festivals, college sports, ballet, opera, roller derby, weekend farmers markets and daily summer happenings in Caras Park along the Clark Fork River. Hiking the M trail overlooking Missoula. Playing on the water at Brennan’s Wave. Q: How do we get to Western Montana? Are there airports, and which one should we fly into? A: Traveling to Western Montana and getting to Glacier National Park, are both easier than you might think. With two airports to choose from —Missoula International Airport (MSO) and Glacier Park International (FCA) located in Kalispell—train service (Amtrak’s Empire Builder), car rentals, buses and a well-maintained highway system, it’s pretty simple. Interstate Highway 90 runs east and west anchoring our region, and U.S. Highway 93 runs north and south. For more information on where to stay throughout Western Montana, visit our tour operator website. 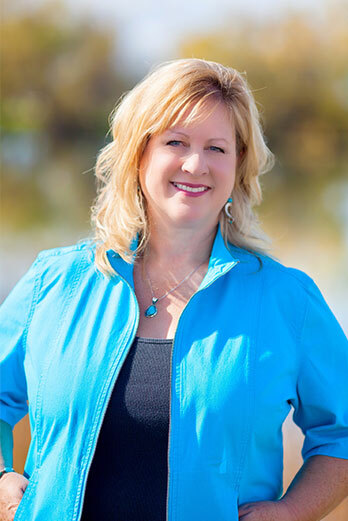 If you need additional tour itinerary assistance, feel free to drop me a line; I’m always here to help. This entry was posted in FIT, Tour Operators and tagged Amtrak, Bitterroot Valley, Blackfeet Nation, East Glacier Park, FIT, Flathead Lake, Fly-fishing, Glacier National Park, Glacier National Park Lodges, Group Tours, Kalispell, Missoula, Outdoor Adventure, Seeley Lake, Seeley Swan Valley, Tour Operators, West Glacier, Whitefish on April 17, 2019 by Debbie. The fact of the matter is this: Montana is a big place. It’s roughly the geographic size of Germany, with still only one million people that call this massive—fourth largest in the U.S.—state home. What does that mean for groups and international travelers coming to visit? Be ready to experience wide-open prairies, snowcapped mountain peaks, rushing waterways and the biggest sky that you really have to see to believe. 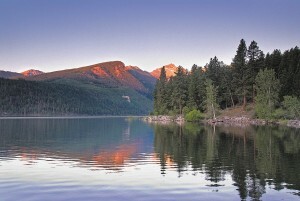 The question often comes up, besides Glacier National Park what are your favorite hidden gems in Western Montana? To help, I’ve rounded up the top 11 most amazing places in Western Montana’s Glacier Country (some you’ve probably never heard of). Some are off the beaten path or are considered hidden gems, but, if time allows, they should be added to your Montana travel itinerary. Views from Ninepipes Lodge in Charlo. Smokejumper Visitor Center. Located in Missoula, the Smokejumper Visitor Center is open Memorial Day weekend through Labor Day weekend with regularly scheduled tours, and then by appointment other times of the year. It gives people a glimpse into what it’s like to be a smokejumper (which is a firefighter who parachutes into remote areas or regions that are not very accessible). 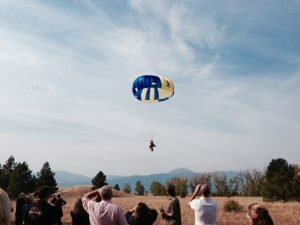 During early summer (typically late April – early June), visitors to Missoula may see smokejumpers taking practice jumps as they prepare for the upcoming fire season. True heroes. Learn about professional smokejumpers in Missoula. The Garden of One Thousand Buddhas. 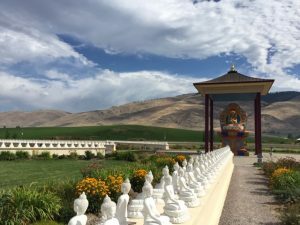 Located just off U.S. Highway 93 (north of Arlee in Western Montana) is the Garden of One Thousand Buddhas. The thing that stands out the most about the garden: it was built as a center for peace. This garden is a celebration of that. It’s a place for inclusivity and where anyone, no matter their thoughts and beliefs, can come to find peace in one of Montana’s most beautiful valleys. The peaceful grounds of The Garden of One Thousand Buddhas near Arlee. (The other) Lake Como. Most people when they think of Lake Como, Italy comes to mind, but this is Montana’s Lake Como and one of the state’s most beautiful spots. 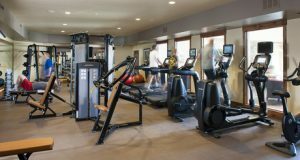 Situated a short drive northwest of Darby, Lake Como has beautiful snowcapped mountain views, a trail system that allows you to stroll out and back or take a 7-mile (11.2 km) hike around the lake. Relax and enjoy the beautiful sand beach. Yes, a sand beach in Montana! St. Ignatius Mission. If you’re cruising through St. Ignatius on U.S. Highway 93, you won’t notice it unless you look to the northeast as you’re coming into town. But make the quick stop to walk the grounds and see the inside of the mission. 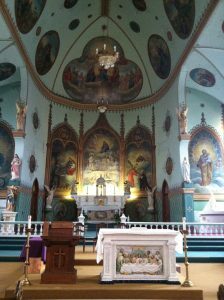 What makes it so special: The mission has 58 hand-painted murals on its walls and ceiling that were painted by Brother Joseph Carignano, the cook and handyman at the mission back in the late 1800s. Murals adorn the walls in St. Ignatius Mission. Looking Glass Highway. Located on the east side of Glacier National Park, and also known as State Highway 49, Looking Glass Highway is a seasonal road that connects East Glacier Park to U.S. Highway 89. It also happens to offer incredible views of the Two Medicine Valley and the Blackfeet Nation. Note: It’s not a road for motorcoaches due to its twists and turns, but motorcycle riders LOVE it. Views from Looking Glass Highway. Holland Lake and Holland Falls. Another one of my favorite spots in Western Montana is Holland Lake. It’s located in the Seeley-Swan Valley between the stunning Mission and Swan Mountain ranges and is truly one of the most beautiful destinations in Western Montana. A 3-mile (4.8 km) out-and-back hike around the lake’s shoreline ends at cascading waterfalls. Again, off the beaten path, but so worth the drive to find it. 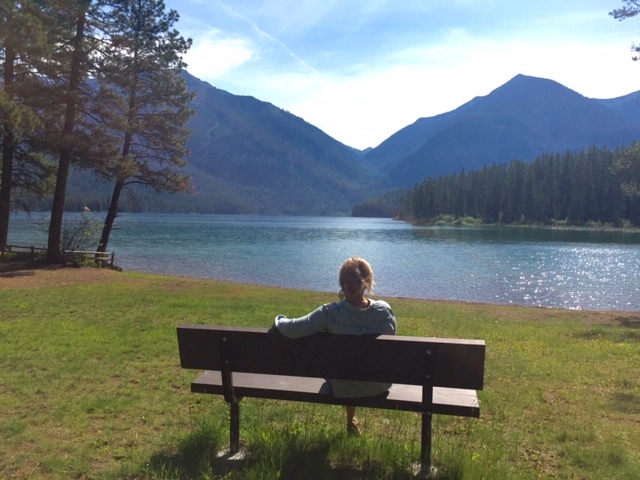 Relaxing and taking in the views at Holland Lake. 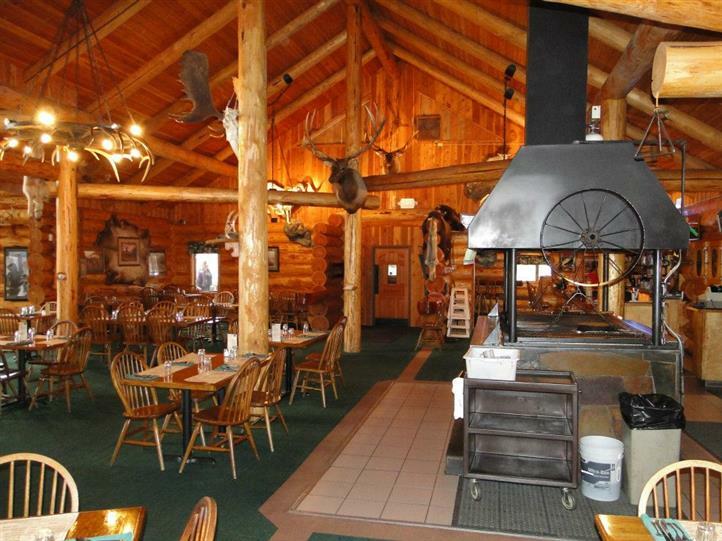 Lolo Creek Steakhouse. If you’re visiting Western Montana, steak should be on your itinerary and this is rated one of the best steakhouses in Montana. 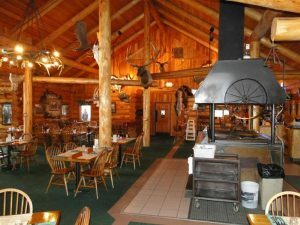 Located just south of Missoula in Lolo, and housed in a rustic log lodge-style building with a distinct Montana-esque atmosphere (picture every kind of animal mounted on the walls), with an open-flame grill in the middle of the restaurant. You really haven’t had steak until you’ve had one from Lolo Creek Steakhouse. Insider tip: Go to dinner a little early and check out the Lolo Creek Distillery behind the restaurant. I suggest the Rippin’ Lips (a fishing term) or Griz Mule (dedicated to the University of Montana Grizzlies). The steakhouse will call the distillery when your table is ready. Flathead Lake. A Montana fun fact: Flathead Lake is the largest freshwater lake in the West (yes, larger than Lake Tahoe). 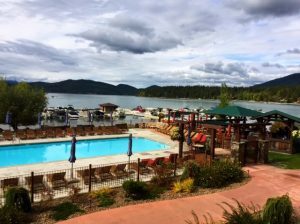 And due to its sheer size—as in its 185 miles (298 kilometers) of shoreline—Flathead Lake is a fun destination in Western Montana. My best advice: Drive U.S. Highway 93 and State Highway 35 around the lake, stop at The Raven for lunch, visit one of the state parks along the shore of the lake and take a cruise with Far West Boat Tours. Sunset cruise on Flathead Lake. 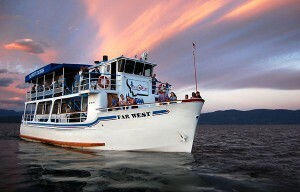 Photo: Far West Boat Tours. Clearwater Canoe Trail. If you want one of the most peaceful morning experiences you could ever have, plan to paddle the Clearwater Canoe Trail. This 4-mile (6.4 km) trail is on a portion of the Clearwater River (just north of Seeley Lake) that’s closed to motorized boats. Time it right (that is, go in the early morning) and you’ll likely have it all to yourself. Early morning on the Clearwater Canoe trail. Kootenai Creek. This trailhead, located in Montana’s Bitterroot Valley just north of Stevensville, is one of the best places to take a hike. Plus, it’s a mecca for rock climbers, and rock climbing spectators (like myself). Insider tip: After hiking in the Bitterroot National Forest, plan to end your day in Stevensville with a visit to the local brewery, birding at the Lee Metcalf National Wildlife Refuge or strolling the grounds of the Historic St. Mary’s Mission. 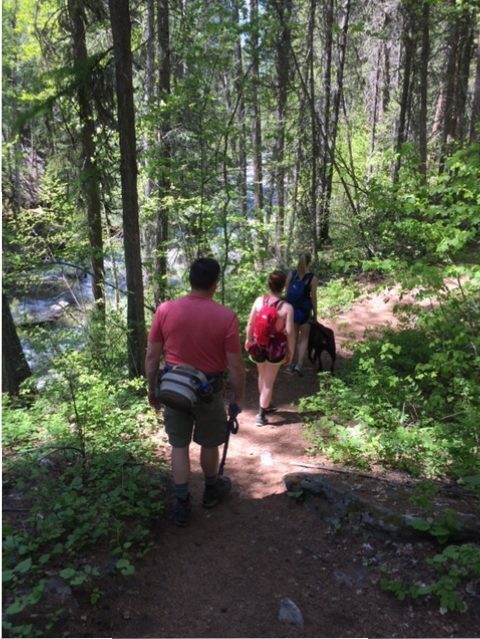 Hiking on the Kootenai Creek Trail. 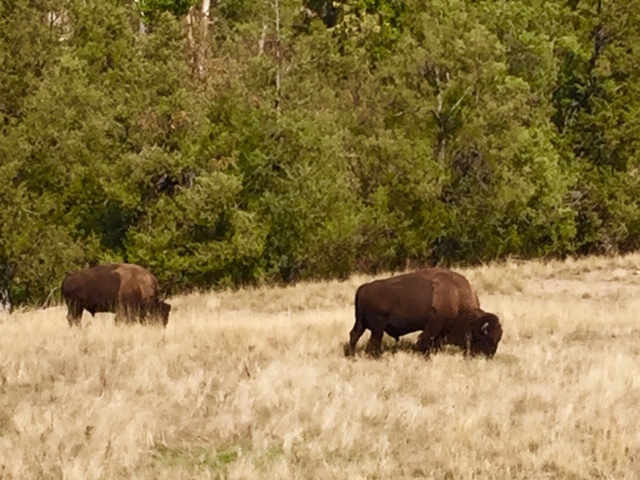 The National Bison Range. This is a place I can visit time and time again and never have the same experience twice. The National Bison Range is a wildlife preserve that is home to 350 head of roaming bison, along with antelope, deer, elk, coyote, bighorn sheep, bear and an astounding amount of birds. Insider tip: What’s the difference between bison and buffalo? Sometimes the term buffalo is used interchangeably especially with the American Indian nations, but the difference is that the American Bison is native to North and South American and Europe, while the buffalo is native to Africa and Asia. In Montana we call them bison. 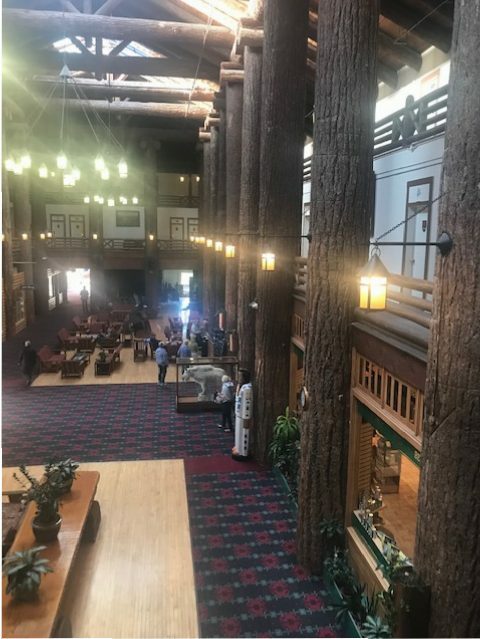 This entry was posted in FIT, Motorcycle Tours, Tour Operators and tagged Bitterroot Valley, Darby, East Glacier Park, FIT, Flathead Lake, Group Tours, Lolo, Missoula, Outdoor Adventure, Seeley Lake, Seeley Swan Valley, Stevensville, Tour Operators on March 29, 2019 by Debbie. Located in Western Montana’s Glacier Country and just a few miles from downtown Missoula, the Historical Museum at Fort Missoula welcomes nearly 50,000 visitors annually. It’s a spacious site with stunning views of the Montana landscape, great educational exhibits, and community-centered special events. In addition, the museum has many features that make it unique. 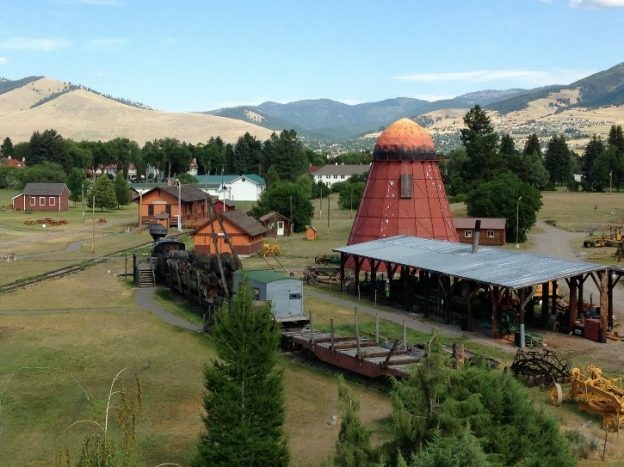 Below are the Top 5 hidden gems for groups experiencing Fort Missoula’s rich history. Glacial Lake Missoula: You’ve traveled several hours by bus, and everyone is going a bit stir crazy. All your travelers want is to pull over and get some fresh air. 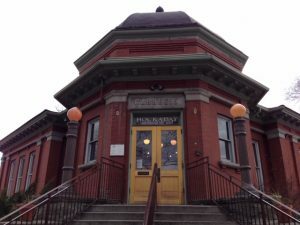 Why not stop at the Historical Museum at Fort Missoula? 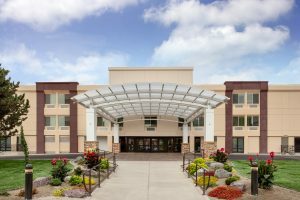 You can stretch your legs on the museum’s 32 park-like acres, enjoying panoramic views of the beautiful Missoula Valley, and you may even see evidence of glacial lake Missoula. 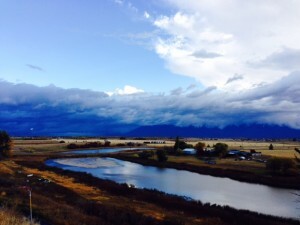 During the Ice Age, what is the Missoula Valley today was once all under water. Glacial Lake Missoula drained suddenly, multiple times, as the glaciers retreated, sculpting the landscape of the Northwest. Today, evidence of Glacial Lake Missoula can be seen on the hillsides surrounding the Missoula Valley. 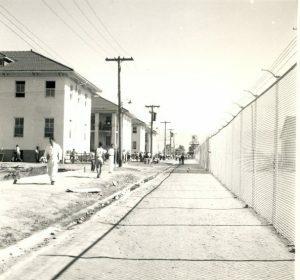 WWII Alien Detention Center: One of the least-known stories of Fort Missoula, but one that holds the most international significance, is that of the men who were interned at Fort Missoula during WWI. Fort Missoula was home to an Alien Detention Center that held 1,200 Italian and 1,000 Japanese foreign nationals. The Italians were merchant seamen, World’s Fair workers, and others trapped in the United States at the dawn of WWII. They were held at Fort Missoula from 1941 – 1945 out of the fear that if they were to return to Italy, they would fight against the U.S. allies in Europe. The Japanese men held at Fort Missoula were a very different story. They were prominent West Coast community, business and religious leaders. As resident aliens, they were not permitted to apply for US citizenship due to the laws of the time. During their internment in Missoula, they were subjected to a series of loyalty hearings that were conducted in a now-restored courtroom on the museum grounds. The museum staff are happy to arrange private tours for groups to visit the courtroom and its related exhibit to learn more about this very dark time in American History. The Teepee Burner: At one point during Western Montana’s past, Teepee Burners dotted the landscape. Teepee burners were used to burn waste from the many sawmills in the West. During the evenings, the teepee burners glowed, illuminating the valley. Today, they have disappeared from Missoula as the waste from sawmills has been repurposed. One of the few that remains resides on the campus of the Historical Museum. Come out to rediscover this beautiful, yet controversial, artifact of the past. 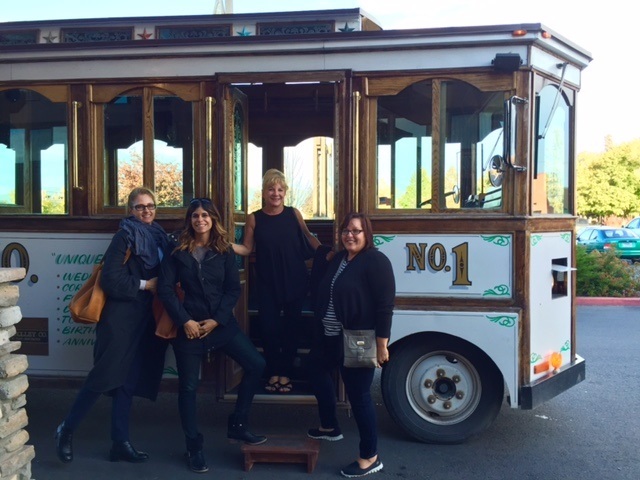 The Trolley Barn: Have you ever set foot on a streetcar trolley? Now is your chance. The Historical Museum at Fort Missoula has a fully restored interurban streetcar. Housed in the museum’s trolley barn, along with a restored stagecoach and Missoula’s first firetruck, group tours can arrange to not only view the streetcar up close, but climb aboard and experience what life was like for residents of Missoula in the 1920s. The Collection: One of the little-known, but most interesting aspects of all museums are their collections. Currently, the Historical Museum at Fort Missoula houses over 45,000 objects, photos and documents from Missoula’s past. Artifacts range from furniture to postcards. In recent years, the Historical Museum has taken steps to raise awareness of this important aspect of all museums. The Historical Museum staff is happy to provide tours of “behind the scenes” areas allowing visitors to interact with the collection. The Historical Museum at Fort Missoula is located at 3400 Captain Rawn Way, Missoula, MT, 59804. Please visit www.fortmissoulamuseum.org for more information or to book your group tour. This entry was posted in FIT, Guest Post, Tour Operators and tagged FIT, Group Tours, Guest post, Missoula, Tour Operators on February 5, 2019 by Debbie. As a new year approaches, it’s always fun to look back and reflect on the past year in Western Montana’s Glacier Country. 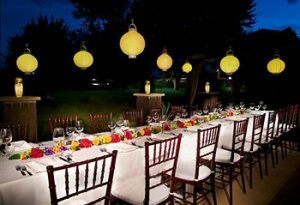 We have had a wonderful year working with professional businesses from around the globe. 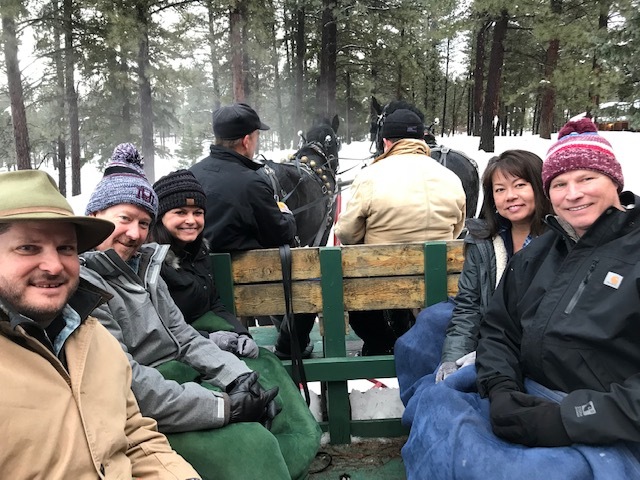 It’s been a pleasure to help develop suggested itineraries for motorcoach tours wanting to showcase the history and early settlement of the West in Montana and find that perfect rodeo for their group to attend while in the region. Unique lodging options for the international visitor is a request we often receive. Accommodating with a teepee, treehouse, cabin in the woods, lakeside lodge or luxury guest ranch has been a joy. 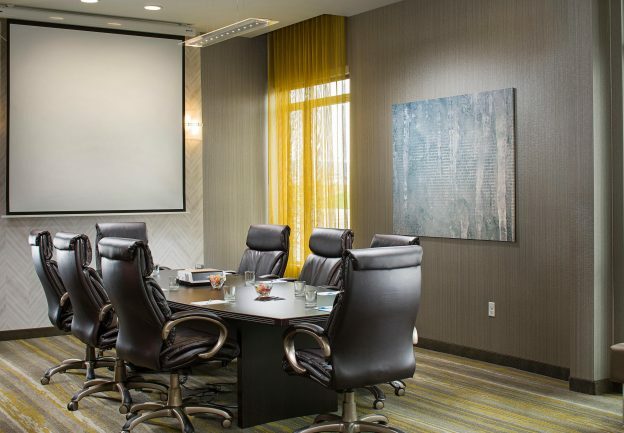 Introducing that perfect meeting space, offsite venue and activity to meeting planners and hearing them say, “This place is so beautiful, our attendees are going to love the authentic experience here,” is very heartwarming. 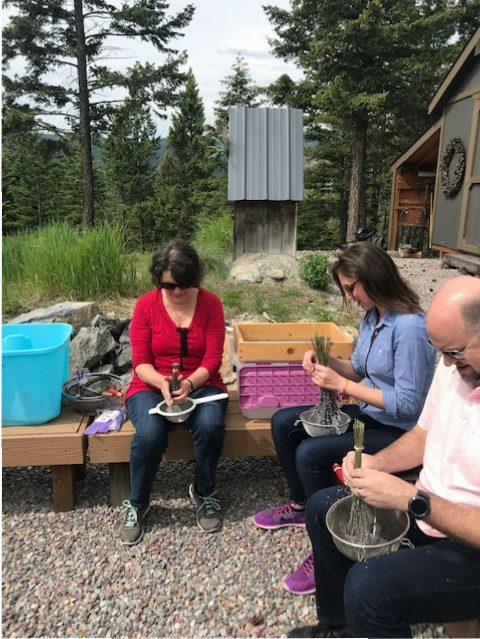 We’ve held FAMs throughout the region, and when asked what surprised those visitors most about Western Montana—besides our stunning scenery and warm hospitality—it’s our amazing culinary scene that seems to rise to the top. Reflecting back on a great 2018, we’d like to say thank you to all who shared in the fun. A FAM trip out to Glacier National Park with some of our closest international friends. Line dancing lessons in a horse arena? Yes please. 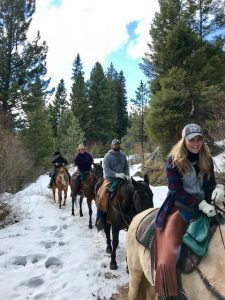 Horseback riding with Triple Creek Ranch in the Bitterroot Mountains. Introducing fly fishing to these visitors on the Bitterroot River. 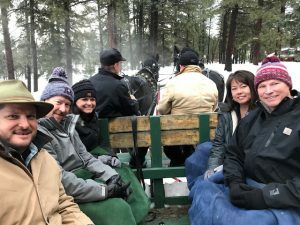 Horse-drawn sleigh rides at Double Arrow Lodge in Seeley Lake with warm blankets followed by hot cocoa. A perfect golf morning at Wilderness Club resort in Eureka. 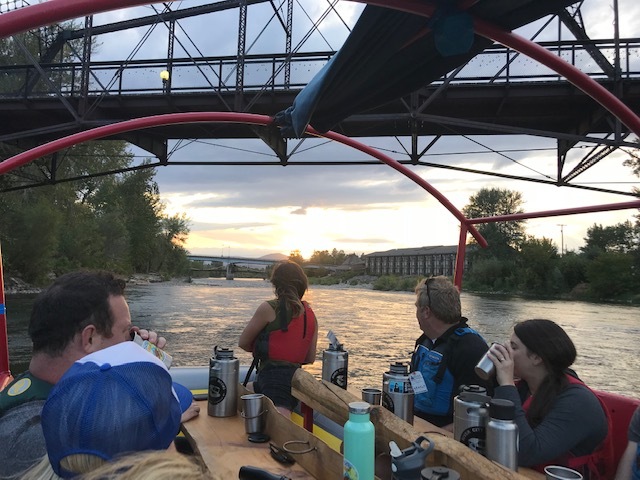 Floating down the Clark Fork through the heart of Missoula with River City Brews Rafting Tours. 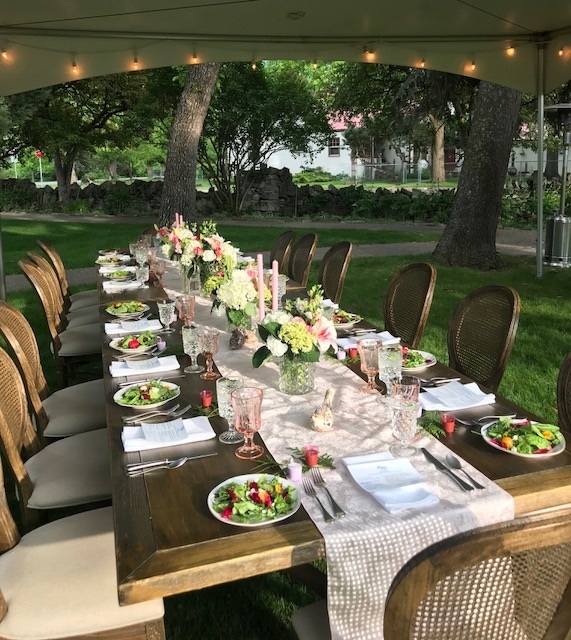 Our guests are ready for an outdoor dinner at the Conrad Mansion Museum in Kalispell. 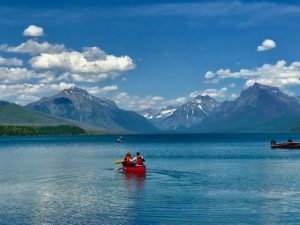 A quick canoe paddle from Apgar Village in Glacier National Park. Our red bus was ready to take us to see the scenery in Glacier. Hello, gorgeous Glacier National Park. The grand Glacier Park Lodge is a must see and/or stay while on the east side of Glacier. 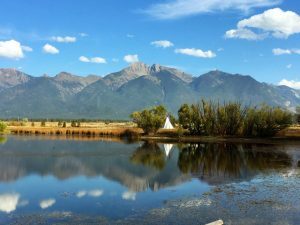 TeePee stays on the Blackfeet Nation along Lower St. Mary Lake with stunning views of Glacier National Park. Soaking up the sun aboard the DeSmet on Lake McDonald in Glacier. Thanks, 2018, for a beautiful year, and here’s to an amazing 2019. 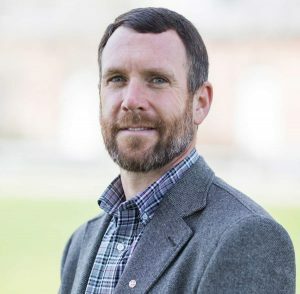 Drop me a line if you need assistance in Western Montanan’s Glacier Country—I am always here to help. This entry was posted in FIT, Meetings & Conventions, Tour Operators, Uncategorized, Unique Venues and tagged Bitterroot Valley, Blackfeet Nation, Darby, East Glacier Park, FIT, Fly-fishing, Glacier National Park, Group Tours, Horseback, Incentive, Kalispell, meeting retreats, Missoula, Montana Meetings, Outdoor Adventure, Seeley Lake, Tour Operators, Unique Venues on December 20, 2018 by Debbie. As the Tourism Sales Manager for Western Montana’s Glacier Country, I spend a significant amount of time traveling around the U.S. attending trade shows to promote the western region of Montana to domestic group tour operators, international tour operators and travel agents. One question that often comes up, “What’s the best route to take between Montana’s two national parks, Yellowstone and Glacier?” While each route offers its own scenic beauty and not-to-be-missed attractions along the way, one of the most direct routes is through Butte and Missoula. On this park-to-park trip, you’ll stick mainly to interstates and U.S. highways, but in Montana, even the freeways are scenic. You’ll also travel along some of this corridor’s coolest offerings—like the richest hill on earth in Butte and Lewis and Clark Caverns in Whitehall. After adventuring in Yellowstone National Park, it’s time to head north. 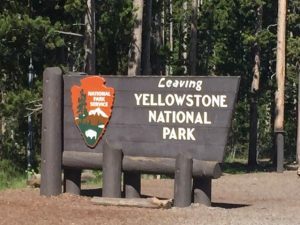 Leaving West Yellowstone, travel north on U.S. Highway 191 and then west on U.S. Highway 287 along the beautiful shores of Hebgen Lake and Quake Lake, both created in 1959 when an earthquake hit the Madison Canyon River Area. Stop in at the Earthquake Lake Visitor Center to see remembrances of the event. Goodbye Yellowstone, headed to Glacier National Park. 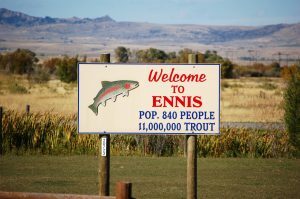 Next up is the charming town of Ennis in the heart of heavenly trout fishing in Southwest Montana located on the banks of the Madison River. 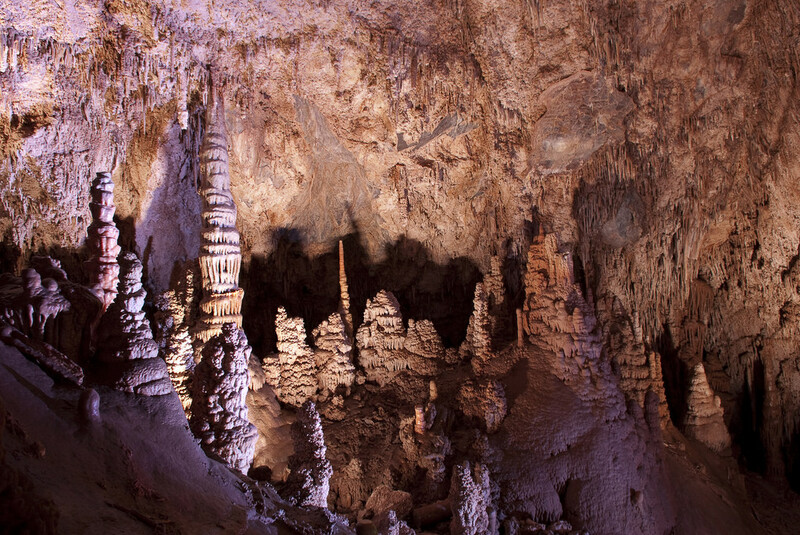 After leaving Ennis, give yourself enough time (two hours) to stop and see the Lewis and Clark Caverns, Montana’s first and best-known state park. Ennis is one of Montana’s most popular fishing towns. 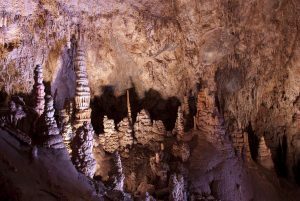 Montana’s largest state park, Lewis and Clark Caverns. Head north again and meet up Interstate Highway 90. Follow the signs to Butte. 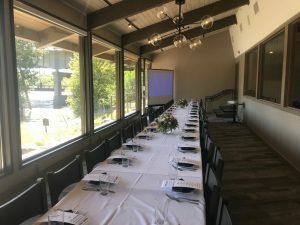 History, personality and charm are part of the walkable “uptown” district, and it’s the perfect place to stop and eat lunch. Local favorites include a Wop Chop or a pasty (pronounced pass-tee). Then jump on a trolley tour to learn about the characters, famous folks, miners and scoundrels that lived and worked in Butte. Farther west on I-90 (1.5 hours) is Missoula—the cultural hub of Montana. Spend the afternoon exploring the city’s downtown, including boutique shops, a thriving culinary scene, breweries and live music venues. 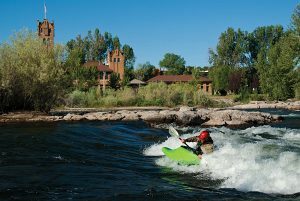 Be sure to stroll over to the Brennan’s Wave overlook, where you are likely to see a kayaker (or several) playing on the man-made whitewater wave on the Clark Fork River. No visit to Missoula is complete without a stop at the Smokejumper Visitor Center, located near the Missoula International Airport. 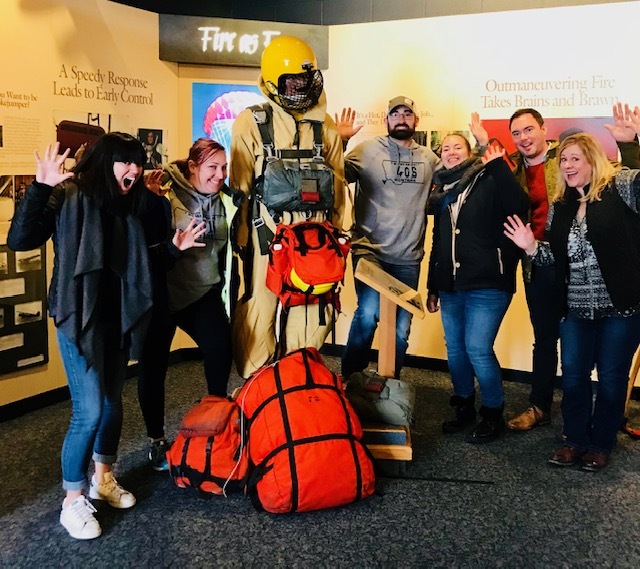 As the nation’s largest training base for smokejumpers, the visitor center showcases displays, dioramas and videos related to the lore of America’s legendary parachute wildfire fighters. Take a guided tour of the parachute loft and see the brave men and women that face these wildfires. Shop the boutique stores in downtown Missoula. 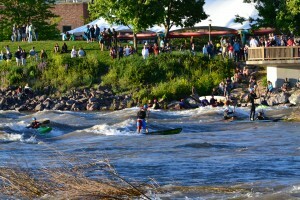 Kayaker on Brennan’s Wave in downtown Missoula. Head north on U.S. Highway 93 out of Missoula and you’ll soon be on the tribal lands of the Flathead Indian Reservation. The reservation encompasses 1.3 million acres and is home to the Confederated Salish and Kootenai Tribes. 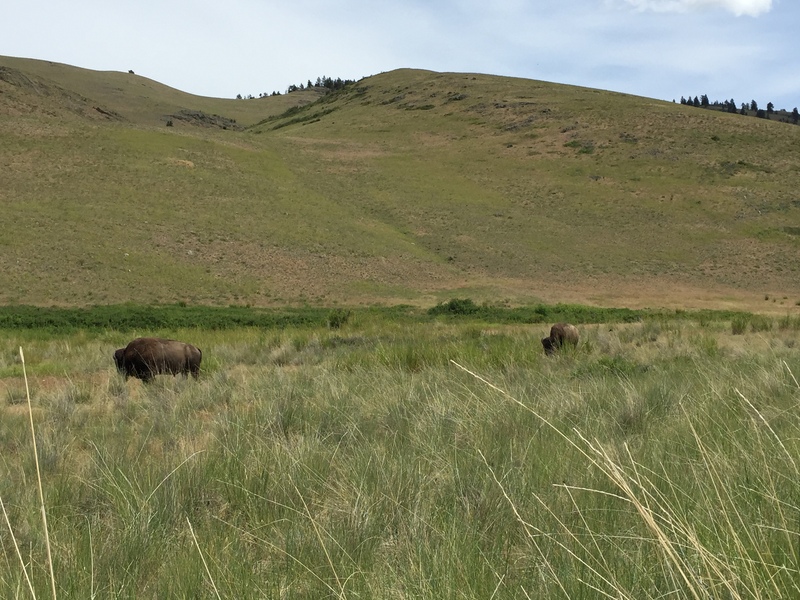 At Ravalli, (30 minutes from Missoula) travel west on state Route 200 and north on U.S. Highway 212 to the National Bison Range—one of the oldest wildlife refuges in the nation. 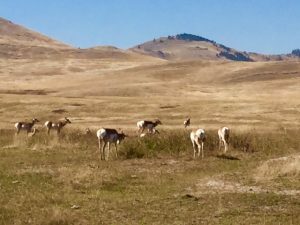 With more than 18,000 acres, the range is home to 350 – 500 head of bison, as well as black bear, bighorn sheep, pronghorn antelope, elk and white-tailed deer. Over 350 bison roam the National Bison Range. After leaving the National Bison Range, continue north on U.S. 212 to the town of Charlo, and stop at Allentown Restaurant (located in Ninepipes Lodge) for lunch and enjoy the breathtaking views of the Mission Mountains from the dining room. 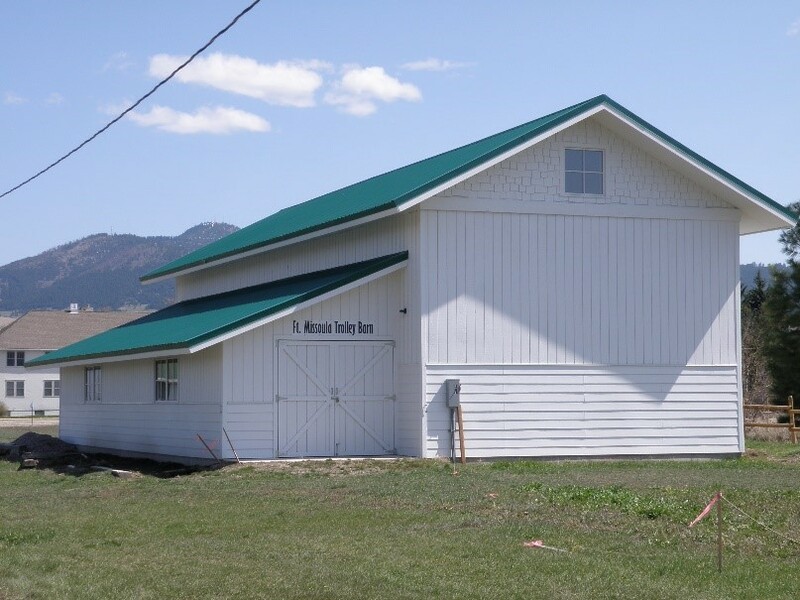 Following lunch, stroll over to the Ninepipes Museum of Early Montana to experience a treasure trove of information, including exhibits, artifacts and displays from early settlers. Take a quick peak in at Great Gray Gifts for the perfect made in Montana souvenir. Views from Ninepipes Lodge and Allentown Restaurant. 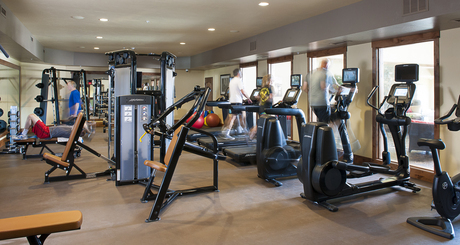 From here, travel 20 minutes north on U.S. 93 to the community of Pablo and stop in for a visit at The People’s Center. Self-guided tours of the museum are available, but we suggest you schedule a tour with a guide for a truly memorable experience. 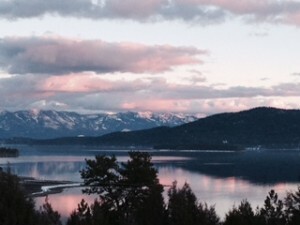 As you continue north on U.S. 93 and drop into the town of Polson, you’ll capture a breathtaking view of Flatead Lake—the largest natural freshwater lake in the West. Attractions in Polson include the Miracle of America Museum and its amazing collection of Americana curiosities. Continue north around the west side of Flathead Lake to Kalispell, the commercial hub of the Flathead Valley. Stop in the Conrad Mansion Museum and visit the historic home of Kalispell’s founding family built in 1895. 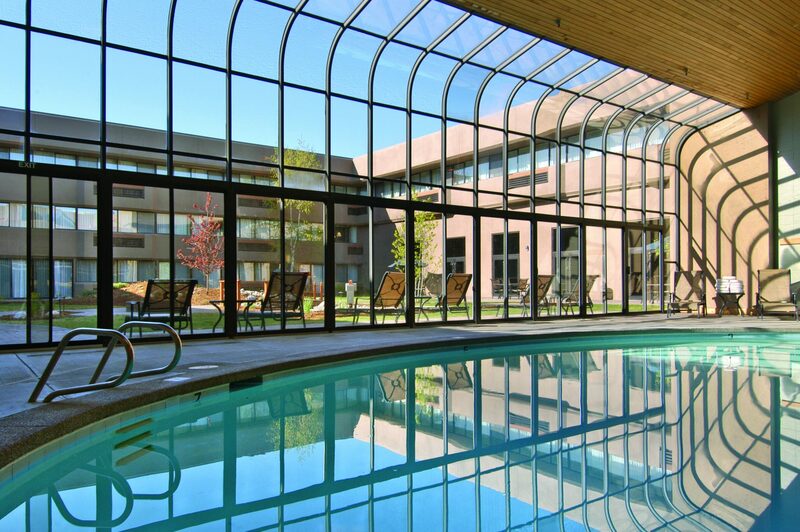 Kalispell is located just 45 minutes from the west entrance to Glacier National Park. A wilderness of lakes, towering peaks and remnants of glaciers is readily accessible. Stop in West Glacier and get your provisions for the day. Include snacks and water, as those are scarce once you head into the park. 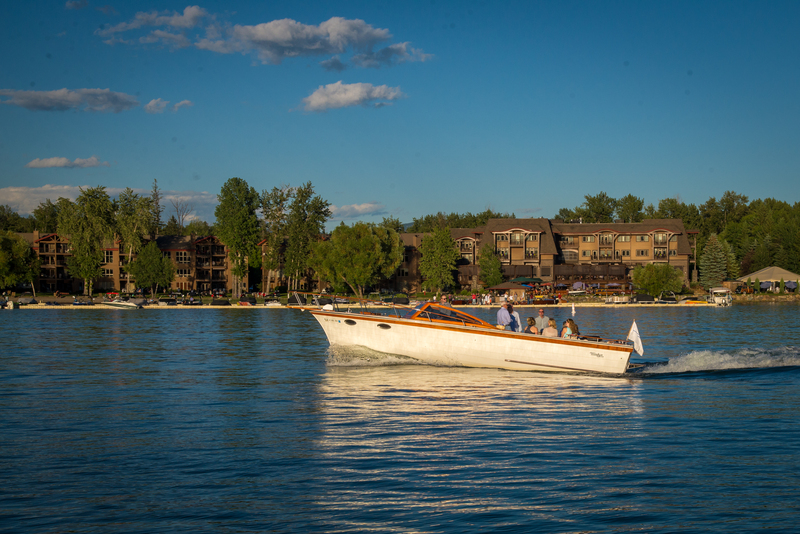 Apgar Village offers watercraft rentals and spectacular views of Lake McDonald. Stop into Eddie’s for some delicious ice cream and a souvenir before heading over to the Apgar Visitor Center. Views from Apgar Village in Glacier National Park. 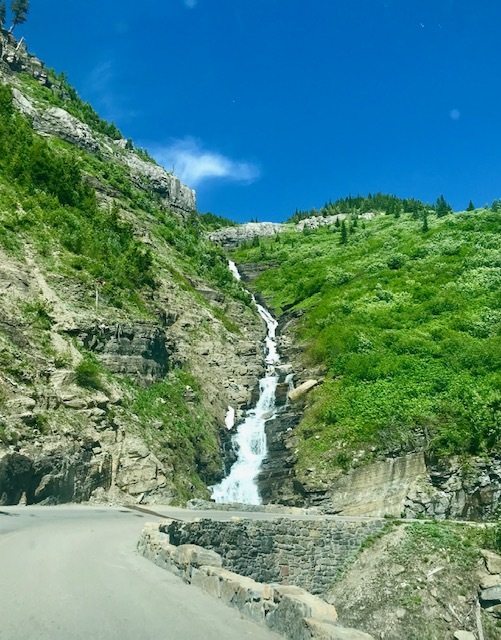 You’d be hard pressed to find a more scenic drive in the lower continental United States than the Going-to-the-Sun Road in Glacier National Park. 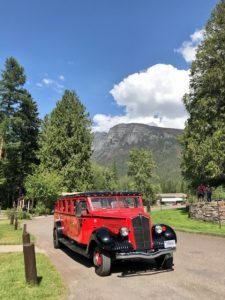 Travel to the hand-hewn, grand Lake McDonald Lodge (20 minutes from West Glacier) where you can hop aboard a red bus for a tour of the 50-mile-long Going-to-the-Sun Road (various tour lengths available; reservations required). There are vehicle length restrictions on Going-to-the-Sun Road, so leave the driving to someone else. The historic canvas-top tour buses were introduced in the 1930s and have since been restored and outfitted with propane engines—gift from the Ford Motor Company. 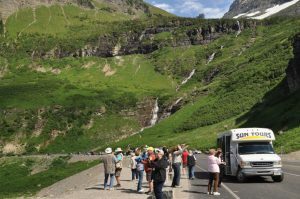 Additionally, Sun Tours offers tours on the Going-to-the-Sun Road including narrative from the Blackfeet Indian perspective. Red bus on the Going-to-the-Sun Road in Glacier National Park. 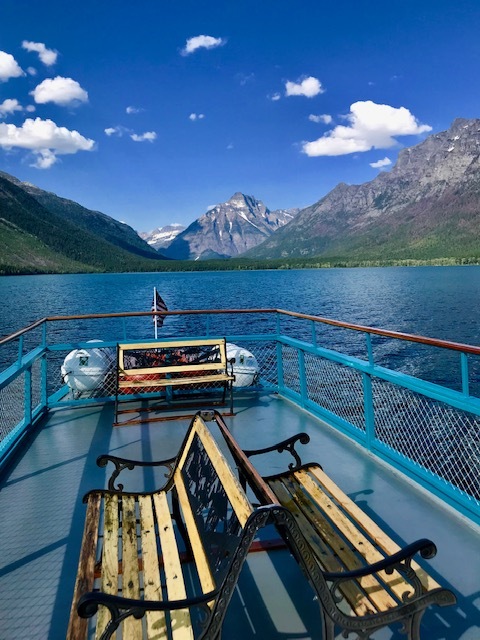 Narrated boat tours on historic wooden boats with Glacier Park Boat Company are offered several times a day on Lake McDonald, Two Medicine Lake, St. Mary Lake, Swiftcurrent Lake and Lake Josephine. The St. Mary Visitor Center is also definitely worth a stop while you’re in Glacier National Park. 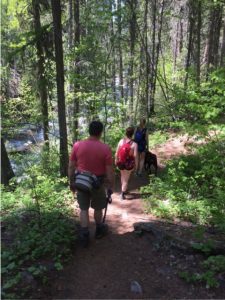 Hike more than 700 miles of trails including short hikes to waterfalls, extended backcountry hikes to unnamed lakes, and everything in between. Glacier National Park has something for everyone. Imagine yourself sitting here on this boat cruise on Lake McDonald. For this complete itinerary and other itinerary suggestions visit our tour operators site. If you need further assistance in itinerary planning feel free to drop me a line, I’m always here to help. 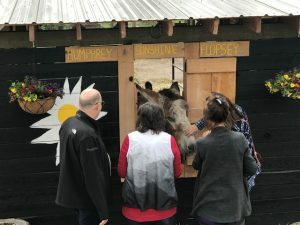 This entry was posted in FIT, Tour Operators and tagged FIT, Flathead Lake, Glacier National Park, Group Tours, Itinerary, Kalispell, Missoula, Outdoor Adventure, Tour Operators, West Glacier, Whitefish on November 29, 2018 by Debbie. 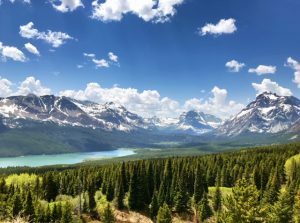 As tour operators plan for their next warm-weather tour into Western Montana’s Glacier Country, we’ve highlighted a few tour options that tend to fly under the radar. 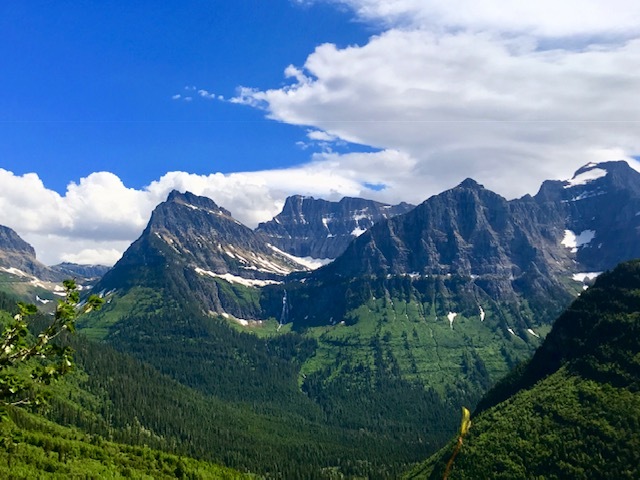 When visiting Western Montana, we know that Glacier National Park is a bucket list destination, and most visitors coming to Glacier Country have at least a couple days planned to see the sights in the Crown of the Continent. If your itinerary allows, we’ve included a few more options in the Flathead Valley that can be added to any itinerary, especially for the less active or senior motorcoach tour. Climb aboard a red bus in Glacier National Park. Tour the grounds of Purple Mountain Lavender just above Flathead Lake in Lakeside, Montana, featuring more than 1,000 lavender plants of 25 different varieties all grown in a chemical-free environment. Take in the breathtaking views of the Flathead Valley and learn about all the different uses for lavender—from oil distillation and cooking, to drying for arrangements. If your itinerary schedule is tight and you’d rather have a class brought to your group, they are available at your hotel location and are great fun for men and woman alike. 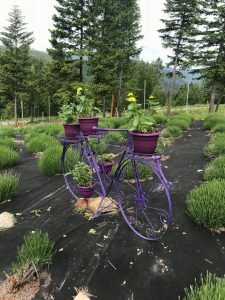 Deb—the owner—will introduce you to lavender cookies, lemonade and show you how to make lavender sachets so you can take some Montana lavender home with you. 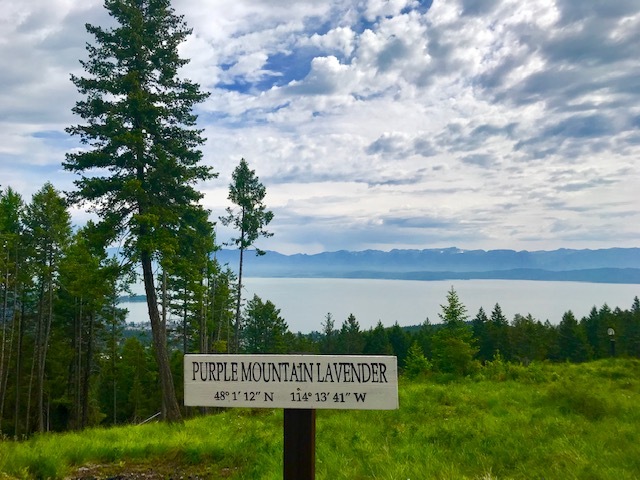 The views of Flathead Lake from Purple Mountain Lavender. Walk the lavender fields with 25 different varieties. Meet Humphrey, Sunshine and Flopsey. Making lavender sachets to take home. 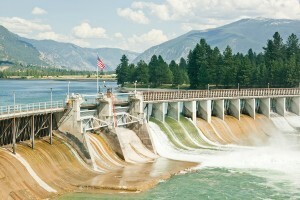 Kalispell Montana is the county seat for the Flathead Valley and has some amazing history just waiting to be explored. 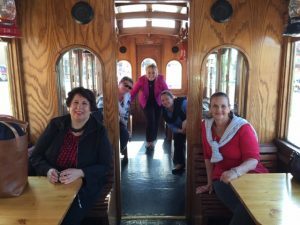 Whether you request a step-on guide to board your motorcoach and make your way around Kalispell or you climb aboard a historic trolley for a customized tour, your group is in for a treat. Your guide will help lay out the history of downtown Kalispell and its historic homes and tell the story of the famous people who resided in them. Learn about the founder of Kalispell, William Conrad, and visit the Conrad Mansion Museum built in 1895. The mansion was quite innovative for its time, with a built-in dumbwaiter, fire hoses on every floor and a communication system throughout the house. Take a docent-led tour and learn about the dignitaries who stayed with the Conrad’s over the years. Visit the Hockaday Museum of Art—an original Carnegie Library—a beautiful gallery housing one of the largest collections of art and culture on the Blackfeet Indians and Glacier National Park. Originally built as a schoolhouse, The Museum of Central School in now the home of NW Montana exhibitions and delves into the railroad and logging history of the area. 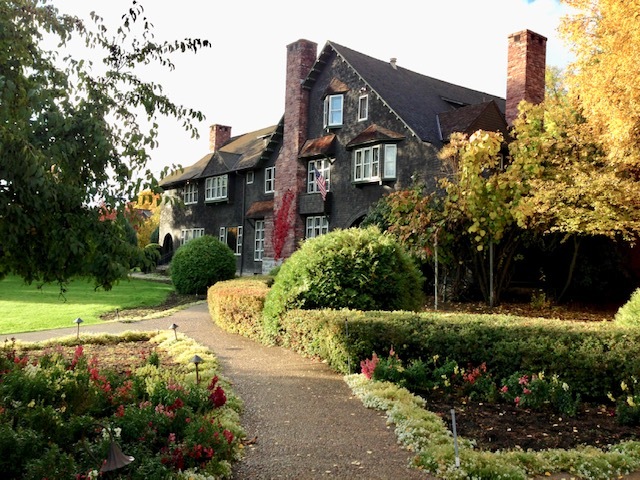 Explore the Conrad Mansion Museum and grounds. The Hockaday Museum of Art was once a Carnegie Library. Board a historic trolley for a unique view of Historic Kalispell. Flathead Lake is the largest freshwater lake in the western United States, capturing the title from Lake Tahoe by a few miles of shoreline. What better way to see this beautiful lake and the magnificent Mission and Swan Mountain ranges than by boat. 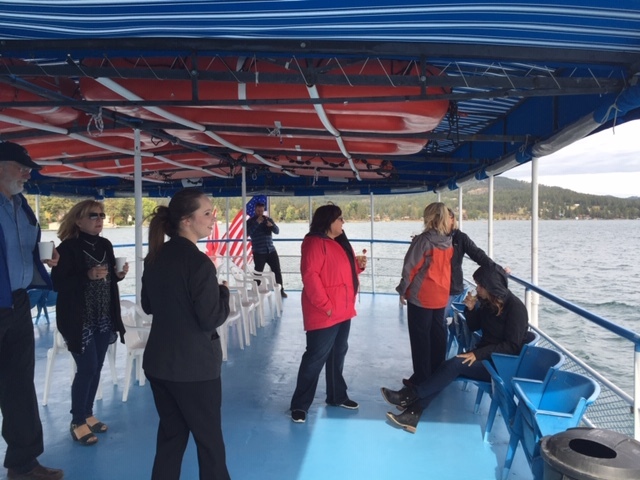 Book a charter for your group or take advantage of the summer schedule when the boat sets sail daily at 1 p.m. from the dock at the Lakeside Marina on the northeast side of the lake. The daily cruise is narrated by the Far West crew who will explain how the natural lake was carved out by glaciers and that is rated the cleanest lake in the U.S. Plus, they’ll tell you what kind of water species call the lake home. Cruise past the natural islands in the lake, the largest being Wild Horse Island—now a day-use state park—and witness where the Flathead Indians were reported to have pastured their horses to keep them from be stolen by other tribes. There are still a few wild horses on Wild Horse Island, along with bighorn sheep, mule deer and bald eagles. 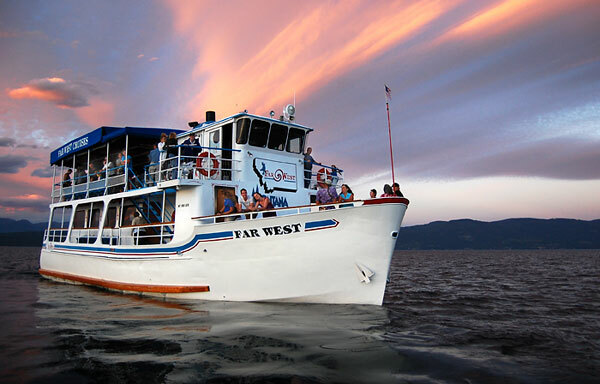 There is a 10% discount for groups over 10 on their daily cruises. For groups wishing to charter the boat, a fully-licensed bar is available and catering services can be arranged. Learn about Flathead Lake from the deck of Far West Boat Tours. Sunset cruise on Flathead Lake. For more information on additional itinerary suggestions, where to stay, and where to find group-friendly restaurants, visit our tour operators page, or drop me a line. I’m always here to help. 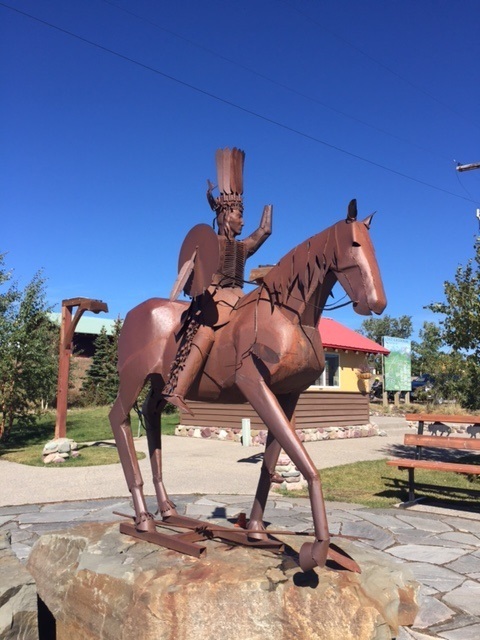 This entry was posted in FIT, Tour Operators, Unique Venues and tagged FIT, Flathead Lake, Glacier National Park, Group Tours, Itinerary, Kalispell, Tour Operators, Unique Venues on October 31, 2018 by Debbie. Western Montana’s Glacier Country offers up four very distinct seasons. 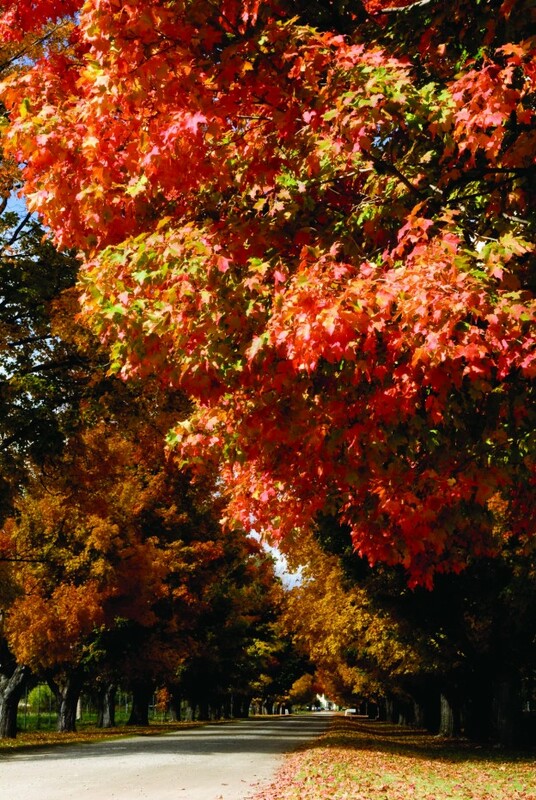 While each has its own special place in our hearts, we have to admit that we are smitten with autumn. The season brings crisp mountain air at night while days are still warm enough for adventuring. The colors of the changing leaves are vibrant with golden hues of the cottonwoods and the western larch that cover the mountainsides along our wild and scenic rivers. We’ve rounded up a few of our favorite road trips through Western Montana that showcase fall in all its glory. These routes can be added to any regional itinerary for your FIT clients this fall (winter, spring and summer too). This lush, forested valley nested between the Bitterroot and Sapphire mountain ranges is prime for leaf peeping. Pull over and explore any one of the Bitterroot’s storybook communities or watch wildlife at the Lee Metcalf National Wildlife Refuge. 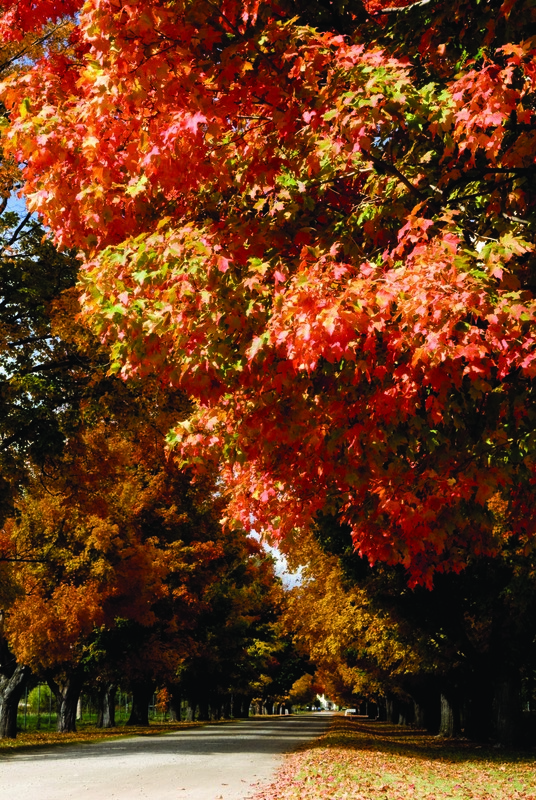 Fall harvest events and happening take place at the Daly Mansion, which boasts 50 kinds of trees offering lots of changing colors. Stop in at Bitterroot cidery for some fresh-pressed deliciousness—the core of fall flavor! Just north of I-90 is scenic Hwy. 200 in Sanders County which travels along scenic river banks brimming with fall colors, active wildlife and ample outdoor recreation opportunities. Stop midway in Thompson Falls for a home-cooked meal at Minnie’s Montana Café. Visit the damn at Thompson Falls. Circle the largest natural freshwater lake in the west for fall-foliage lake views, and experience the charm of the Flathead Valley, home to authentic small towns. 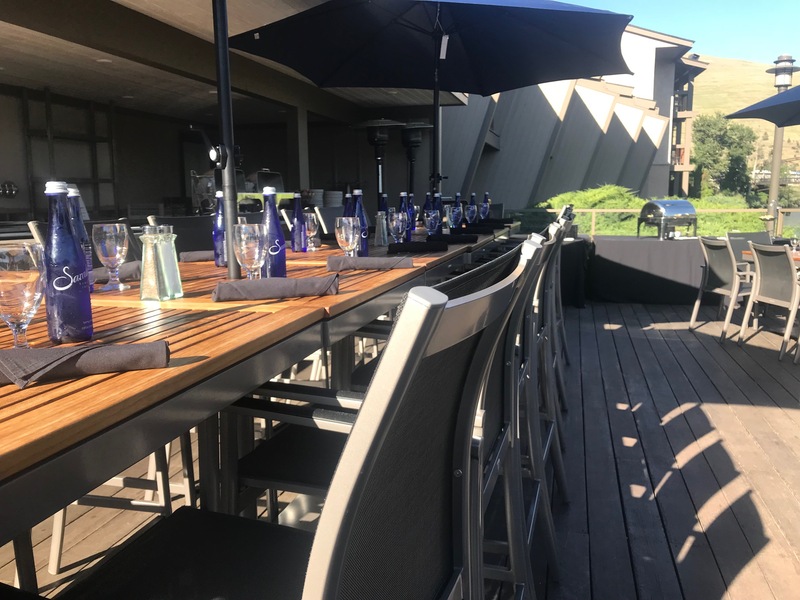 Make a stop at The Raven Bar & Grill in Woods Bay on the east side of the lake for delicious waterfront dinging—including gluten free and vegetarian fare—craft cocktails, and some of the best views in the region. 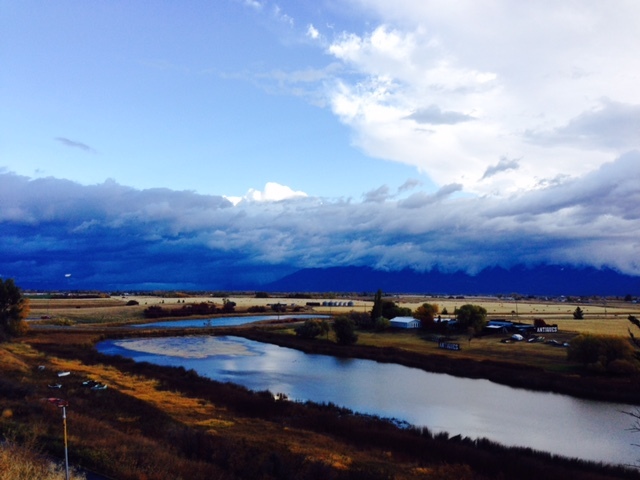 The beauty of fall in the Flathead Valley. Between the stunning Swan and majestic Mission mountain ranges, the Seeley-Swan Valley boasts hundreds of pristine alpine lakes and beautiful hiking spots. This exceptionally scenic valley is known for its large population of tamaracks—unique pine trees that lose their golden needles in the fall. 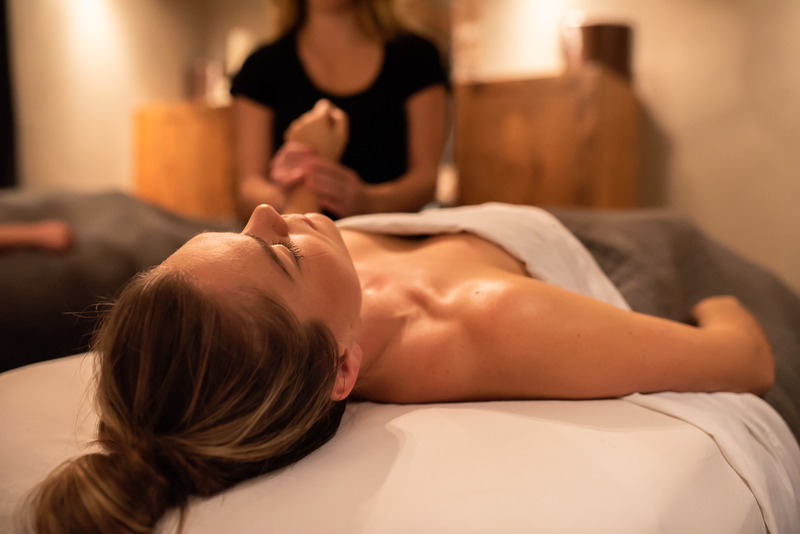 Make your stay an overnight with an authentic Montana lodging experience at the Double Arrow Resort, offering four-season recreation, cozy accommodations and incredibly warm hospitality. 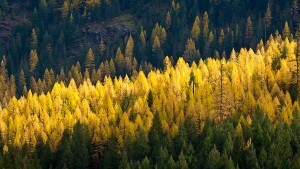 Golden hue of the tamarack trees. Running through Western Montana’s northern region, Highway 2 travels along some of the most scenic places in Western Montana and introduces road-trippers to off-the-beaten-path treasures and well-known attractions to the locals. Start in Kalispell, the perfect mix of small-town Montana and old-west charm, and end in Libby, one of the region’s most scenic and quietest corners. Kootenai Falls near the swing bridge on our way to Libby. 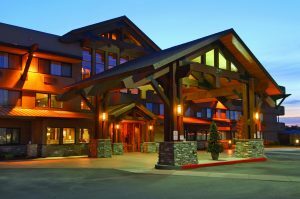 For more information on where to stay throughout Western Montana, visit our tour operators website. If you need additional tour itinerary assistance, feel free to drop me a line; I’m always here to help. 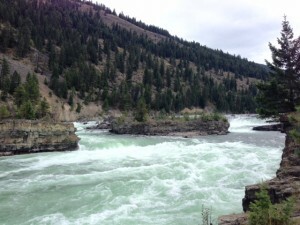 This entry was posted in Cycling Tours, FIT, Motorcycle Tours, Tour Operators and tagged Bitterroot Valley, FIT, Flathead Lake, Hamilton, Kalispell, Libby, Outdoor Adventure, Seeley Lake, Seeley Swan Valley, Thompson Falls, Tour 200, Tour Operators on September 20, 2018 by Debbie. Many visitors to Western Montana’s Glacier Country arrive in July and August, but I’d like to let you in on a little secret that you can share with your FIT/Group clients: fall is one of the best times to visit Montana. The changing colors of vibrant red and orange hues are breathtaking. The weather can have a flair for the dramatic, with bright blue skies one minute and snow the next, but that is what makes autumn in Montana uniquely pleasing. We’ve rounded up some of the top things to add to a fall itinerary under Western Montana’s big blue sky. Glacier National Park – The Crown of the Continent encompasses more than 1 million acres and features the famous Going-to-the-Sun Road. Pro tip: boat cruises and hiking trails on the east side of the park, are less crowded and lead to stunning views. 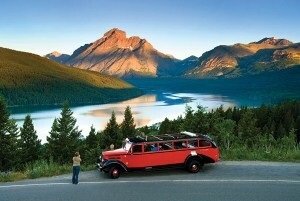 A red bus in Glacier National Park. Blackfeet Indian Reservation – Visit the Museum of the Plains Indian and the Blackfeet Heritage Center & Art Gallery to learn about Blackfeet culture and traditions. Statue of a Blackfeet warrior. Whitefish – This resort town offers fine dining, boutiques and breweries. 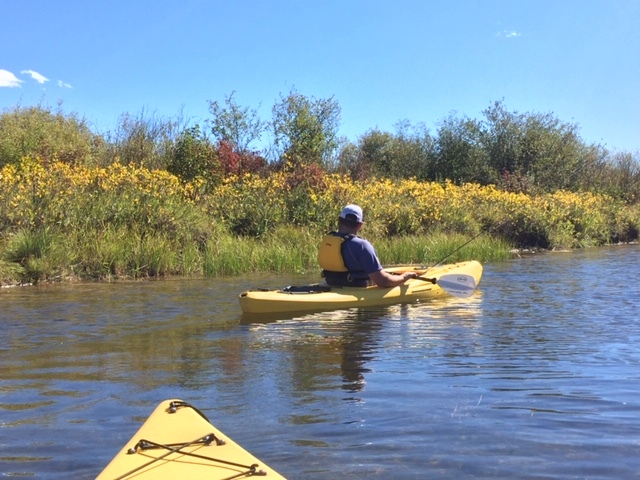 An easy 15-minute drive to Whitefish Mountain Resort offers weekend activities on the mountain until the end of September. 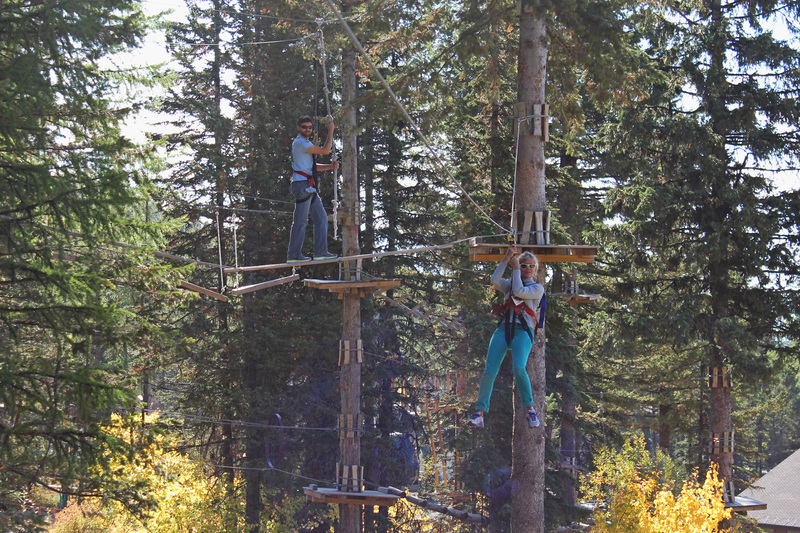 The Aerial Adventure Park at Whitefish Mountain Resort. 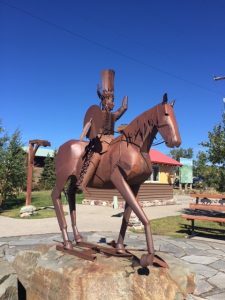 Kalispell – Make Kalispell your home base for your Western Montana adventure, and explore this charming town’s museums and galleries. Flathead Lake is just a 10-minute drive away and it’s only 30 minutes to Glacier National Park. Montana Trolley ride in historic Kalispell. Flathead Lake – The largest natural freshwater lake in the West is home to ample water-sport activities, boat cruises and six state parks, including Wild Horse Island, which can only be accessed by boat. Flathead Indian Reservation – Experience the traditions of the Confederated Salish and Kootenai Tribes at the People’s Center in Pablo. 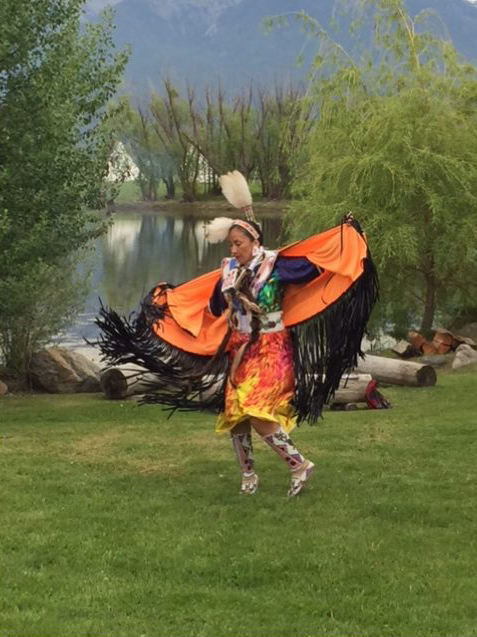 Cultural dancing at Ninepipes Lodge. National Bison Range – This 18,500-acre preserve is home to 350 head of bison, plus elk, antelope, bighorn sheep, deer, black bear and coyote. 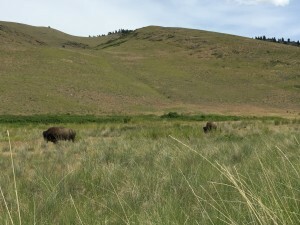 Bison roam the National Bison Range. 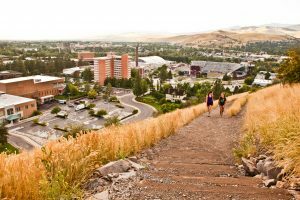 Missoula – Home to the University of Montana and known as Montana’s cultural hub, Missoula is full of shopping, dining, breweries and distilleries, and offers Montana’s finest music scene. 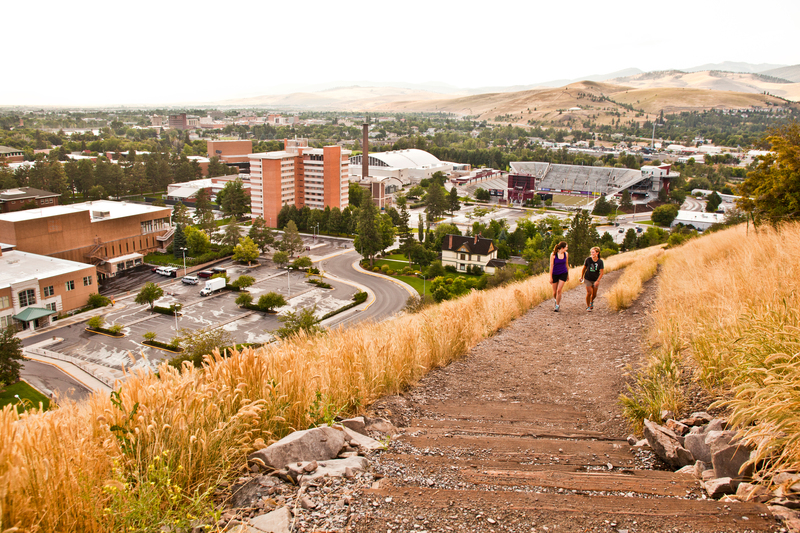 Hikers are able to hike the “M” trail and oversee all of Missoula. Seely Swan Valley – Considered one of the state’s most scenic drives and an outdoor lover’s haven, the Seeley Swan Valley offers lakes, trails, mountains and state parks. 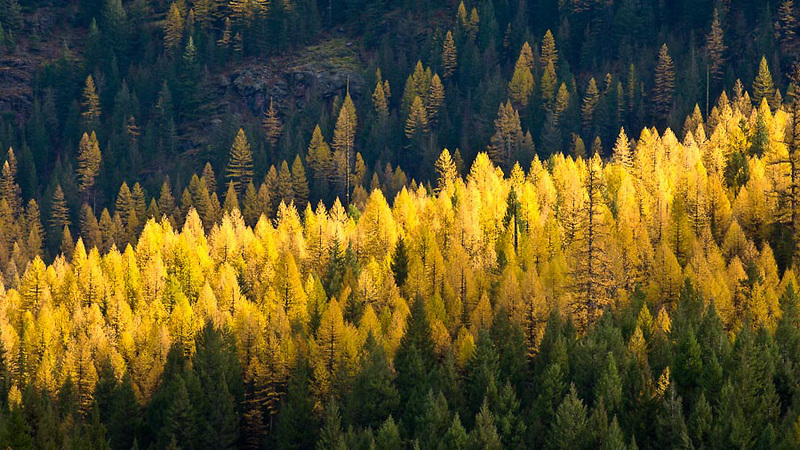 The perfect place to watch the western larch trees (also known as tamaracks) turn the forests and hillsides a vibrant gold. Bitterroot Valley – Discover history at the St. Mary’s Mission in Stevensville and Daly Mansion and Margaret Daly Memorial Arboretum in Hamilton. Chose to hike from over 100 trailheads or bike the 50-mile-long paved Bitterroot Trail. 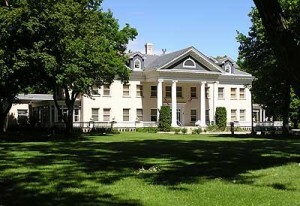 Once the summer home of Marcus Daly, now the Daly Mansion Museum. 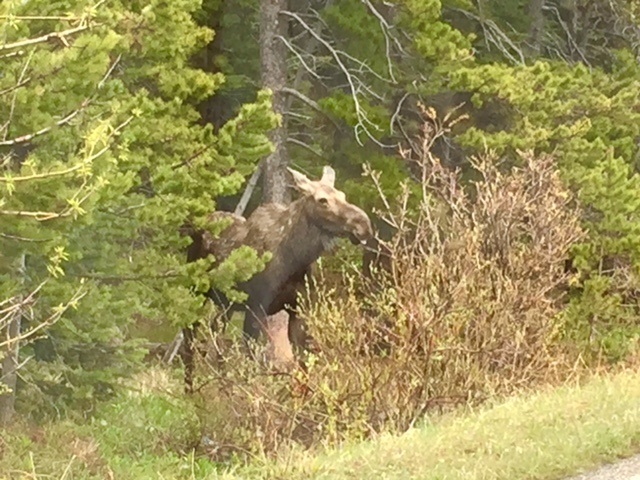 This entry was posted in FIT, Tour Operators and tagged Bitterroot Valley, Blackfeet Nation, Browning, FIT, Flathead Lake, Glacier National Park, Group Tours, Hamilton, Kalispell, Missoula, Moiese, Outdoor Adventure, Seeley Swan Valley, Stevensville, Tour Operators, West Glacier, Whitefish on September 4, 2018 by Debbie.